Most articles that talk about enlarger alignment tell you how to do it, but don’t explain how it can be a never ending battle. 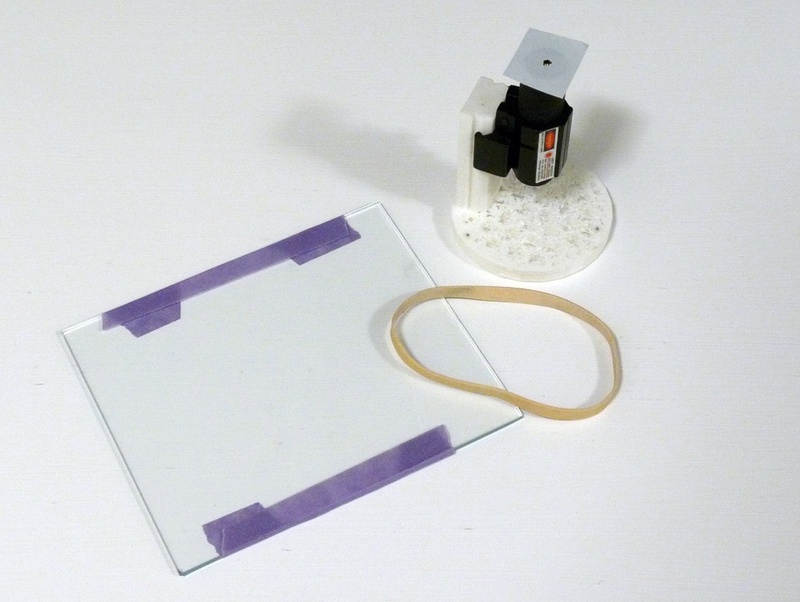 For me and my two Omega D5s, the mechanisms that throw my enlarger out of alignment are drop-away baseboard tabletops and different negative carriers. 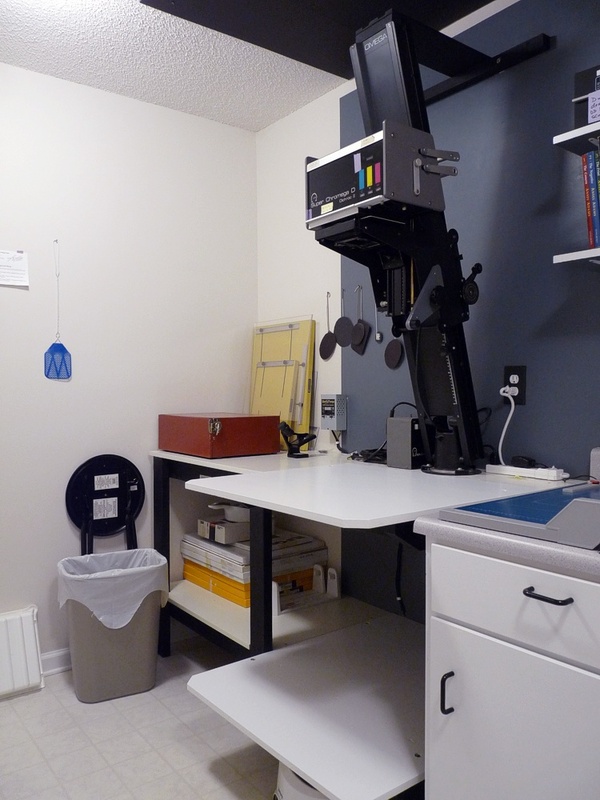 My enlarger is bolted to the wall and the table is mounted below it. To make larger prints or for more extreme cropping, I can remove the upper tabletop and project down to a lower table top. I can also remove the lower tabletop and project all the way to the floor. Both of my enlargers are configured similarly. The tabletops are 3/4″ plywood supported on three or four sides and they are not perfectly parallel, although they are close. For most routine printing, they don’t introduce enough error to worry about, but when I am being very critical and exposing at wide apertures to avoid diffraction issues, I will align the enlarger for the specific configuration in use. Omega has two main types of negative carrier. First is the two-piece sandwich and second is the spring loaded Raid Shift carrier. Each of these carriers can be further divided into glass and glassless. I use glass carriers exclusively. In theory, when the Omega lamp house is lowered onto these carriers, they are compressed perfectly flat eliminating any chance of injecting alignment error. The reality is different. 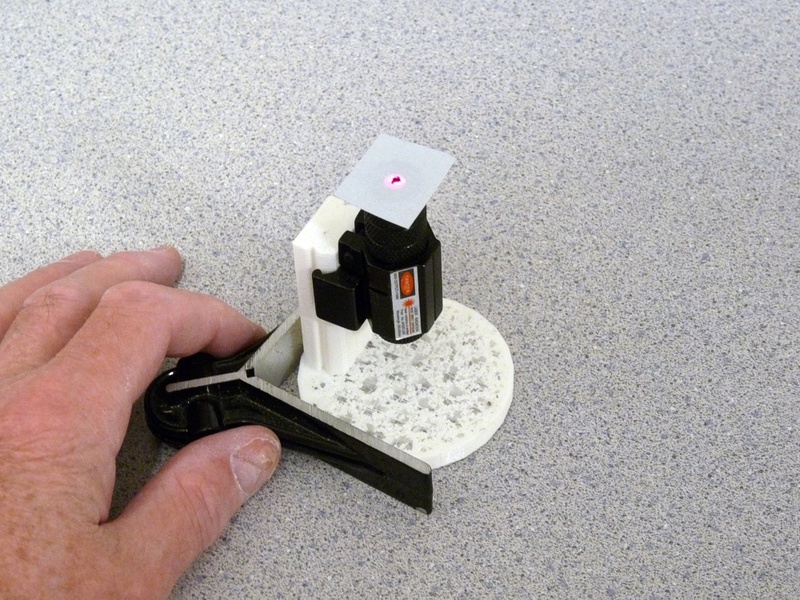 I align my enlargers using a laser alignment tool. 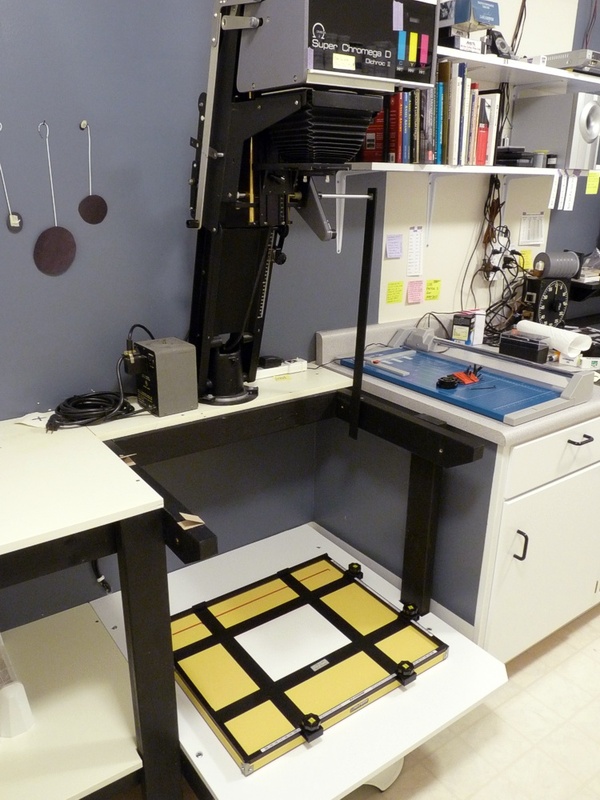 Once I have the enlarger aligned for one carrier, I would expect all my other carriers to behave the same. They do not. The rivets in these carriers warp the metal slightly. The spring tabs at the rear of the Rapid Shift carriers are also cable of preventing the two haves from lying perfectly flat. 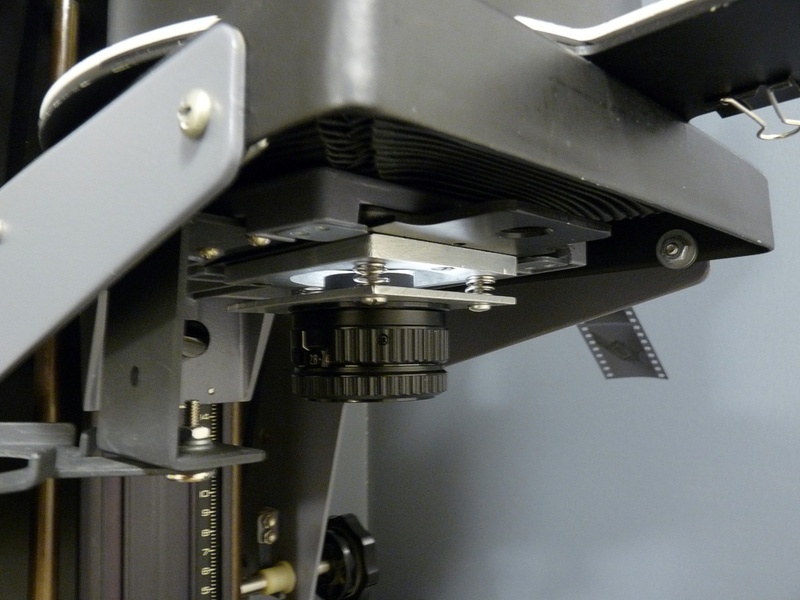 Finally, the glass thickness may not be precisely correct for the film thickness, causing a slight bowing of the carrier when the lamphouse is lowered onto it. My carriers have a mix of original equipment clear and anti-Newton glass from Omega, Focal Point, and some that came installed in carriers purchased from ebay. What I have found is that my laser alignment tool shows that aligning with one carrier, does not always mean all carriers will be in alignment. Furthermore, lowering the lamphouse onto the carrier may also also alter the alignment. Granted, the shift is not great, but it is enough to shake my confidence that I will get corner-to-corner sharpness in a large print at wide apertures. Large, for me, is 16″ x 20″ or 20″ x 24″. 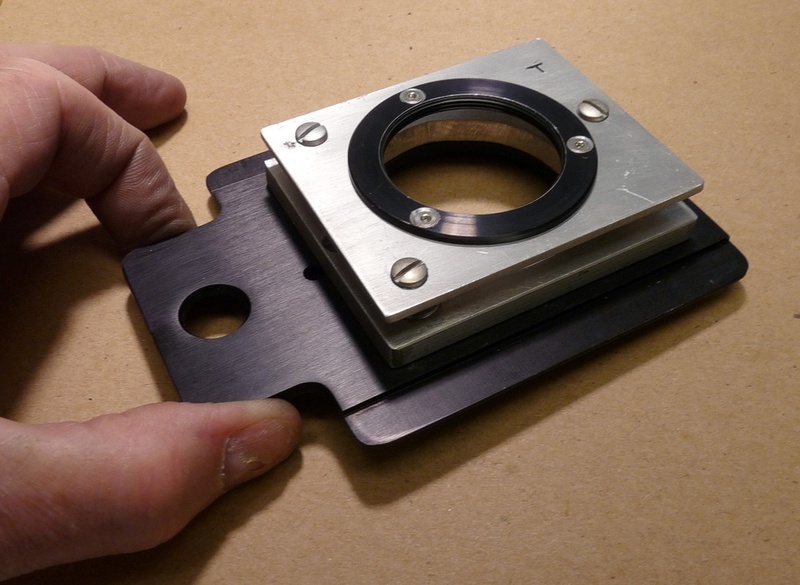 While there is no easy fix to this dilemma, anyone who uses a view camera knows that lens adjustments (swings and tilts) can be used to match a plane of focus to a non-parallel film plane using the Scheimpflug Principle. 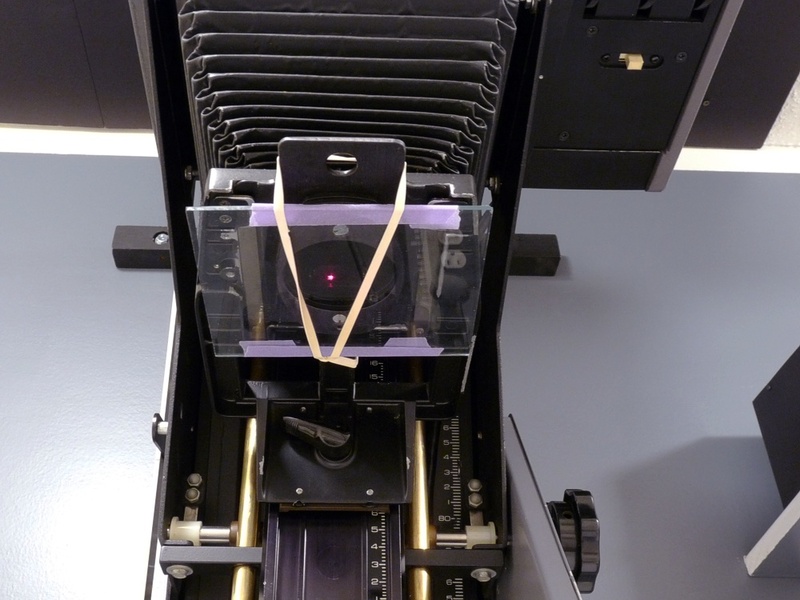 Stated another way, the lens plane can be adjusted to accommodate any errors in alignment between the enlarger film plane and the easel. 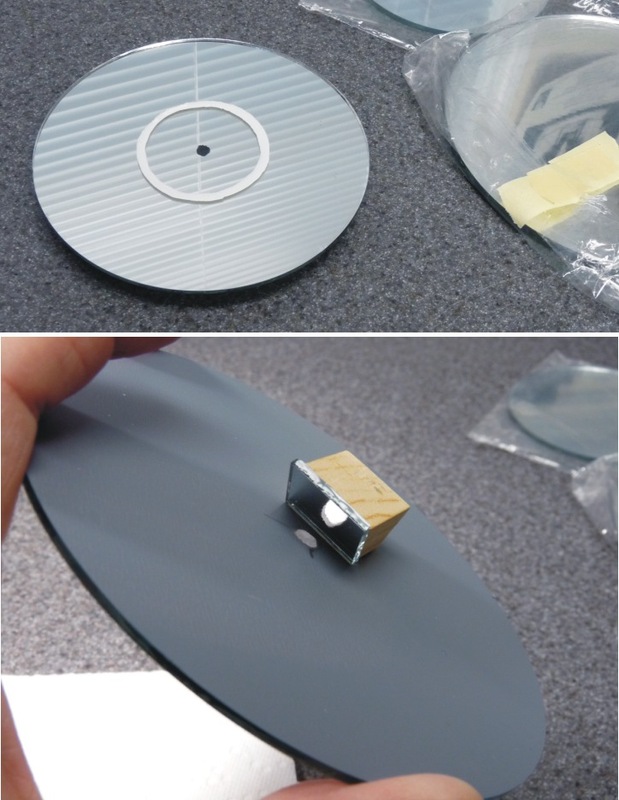 Besseler did exactly that when they offered a lens board called a Bes-Align. 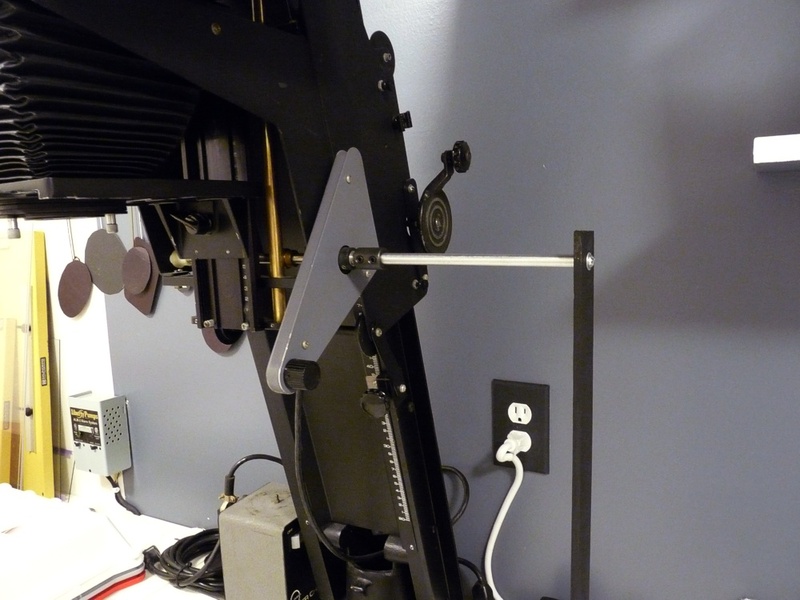 It has three adjustment screws to allow an enlarger lens position to be adjusted in a way that can be used to accommodate a misalignment between film and easel. 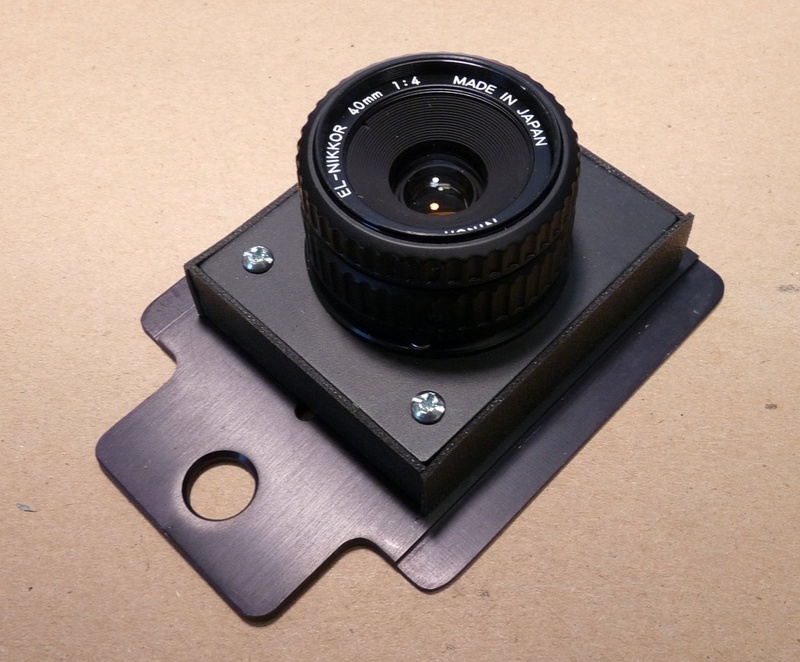 The adjustable lens board can be used in conjunction with a Micromega or Peak grain focuser to tweak the lens plane as required to ensure the corners the image projected onto the easel are in focus. 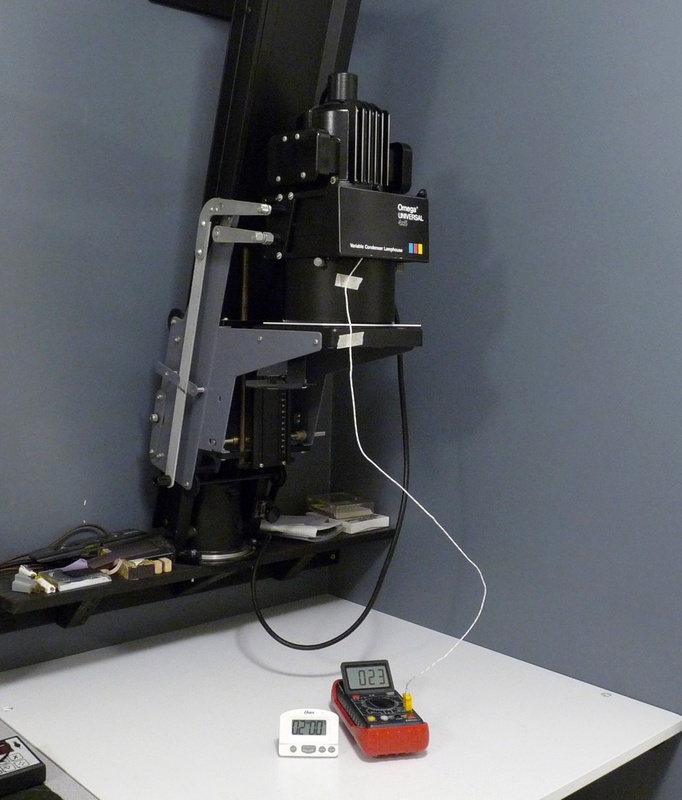 It provides a quick way to fine tune enlarger alignment to compensate for errors introduced by different negative holders or baseboard (table top) configurations. I made a version of the Bes-Align to fit an Omega D5 years ago. 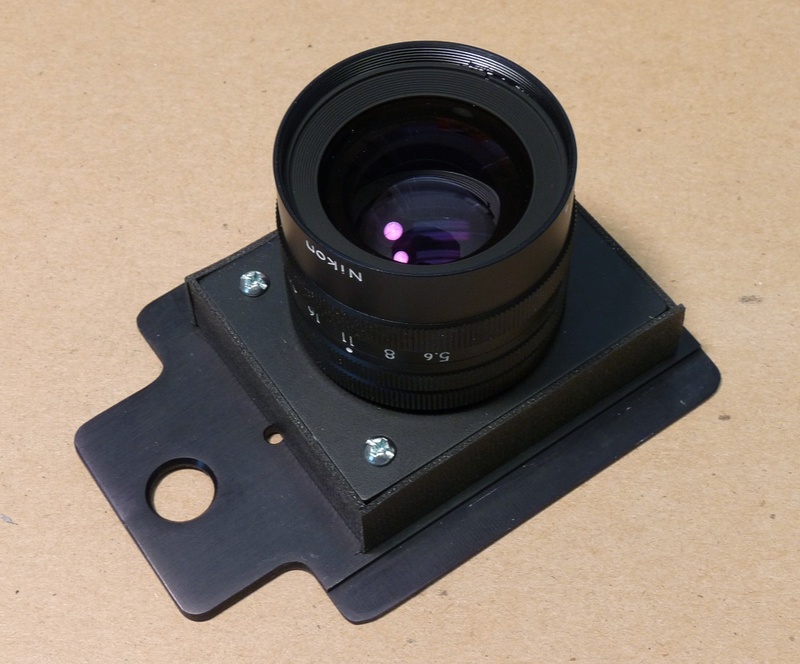 I simply attached a lens mounting plate to an Omega lens board using three machine screws with an 3/16 inch layer of black foam between the plate and the lens board. The foam serves as a light seal and as a spring to act against the three adjustment screws. 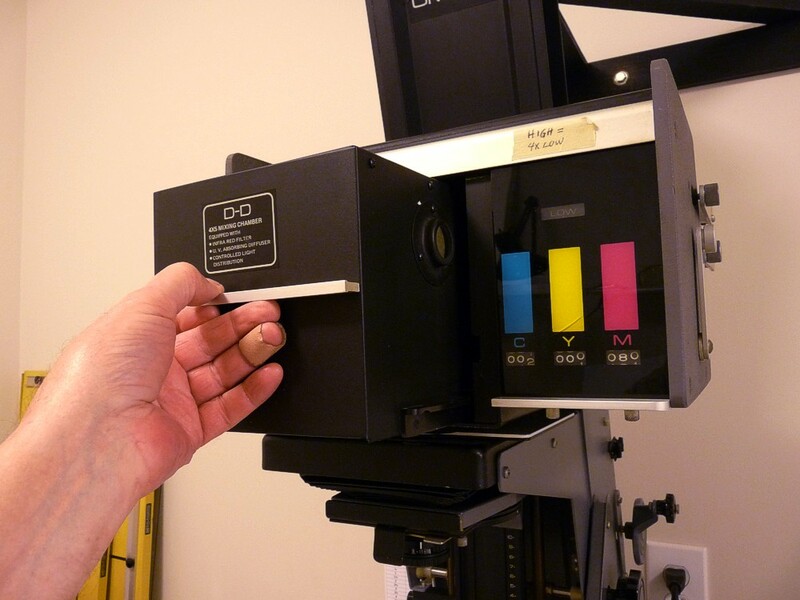 My copy of the Besseler Bes-Align adjustable lens board to fit an Omega D5 enlarger. My copy of the Be-Align was functional, but I wanted something deeper that would accommodate the rear extension of my El-Nikkor lenses, so I decided to add a spacer and make it more rigid with actual springs rather than relying on the resilience of the foam rubber spacer. Improvements included springs and a 1/4″ spacer. 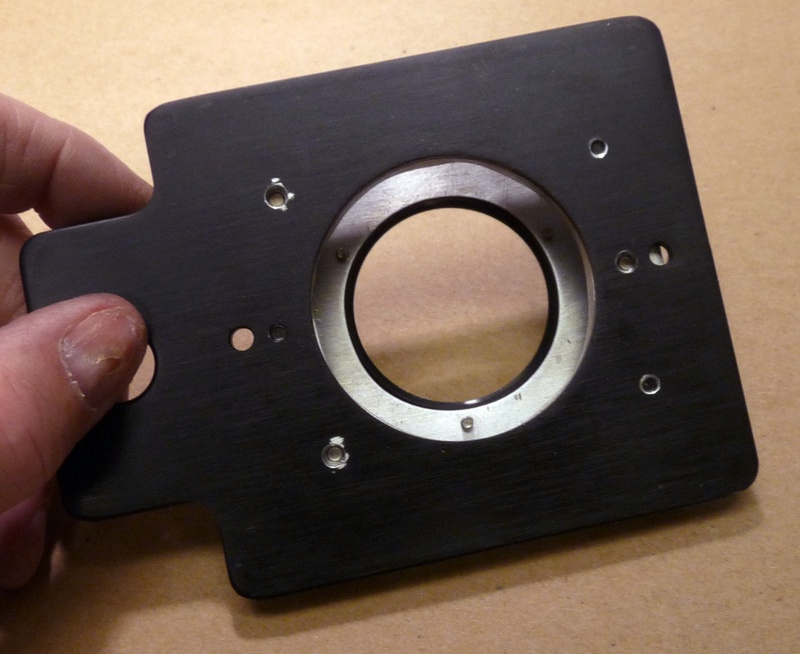 I drilled out the threaded holes in the original design lens board in favor of threading new holes in the much thicker spacer. The adjustment range of the new design will permit perspective control on architectural pictures. I found cheap springs at the local home improvement store and cut them to length with a Dremel tool. 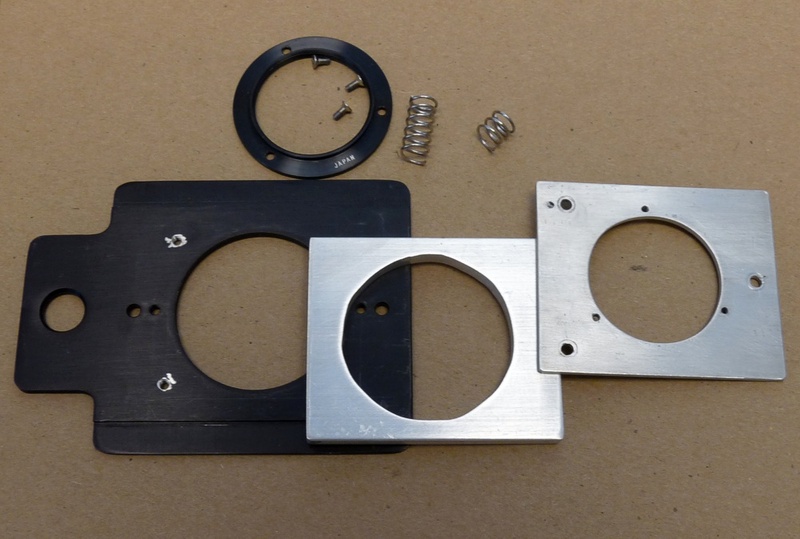 The springs are fairly stiff and the adjustment screws go most of the way through the 1/4″ space making the assembly quite rigid. 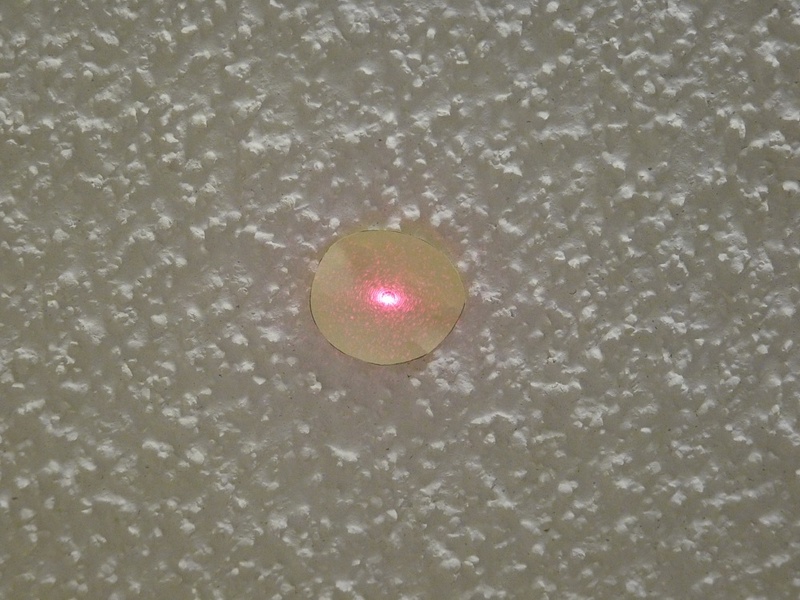 The hole in the stock Omega lens board is considerably larger than the lens mounting hole. 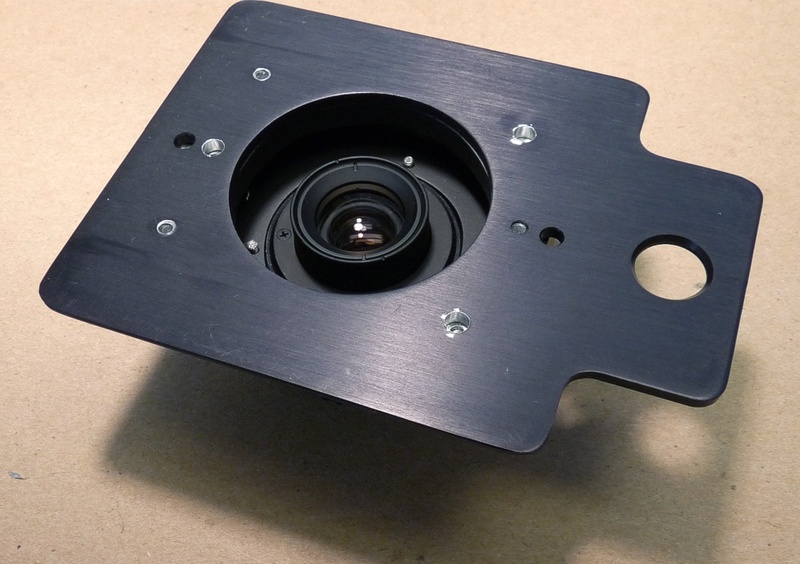 The rear of the lens extends up into the gap between the lens mounting plate and the Omega lens board. I used soft black foam shelf liner material to seal against leaks. I cut the strips, roughed up the glue surfaces with sand paper, and then epoxied them to the edges of the 1/4″ spacer. Fitting the light seal strips before actually gluing them. I sanded, primed, and painted the pieces to further reduce light leakage and reflections. I did not paint the surfaces that were to be glued. Spring placement and final assembly of the pieces. As you can see, I ultimately settled on using Phillips head adjustment screws. I tested the 40 mm lens first to make sure the lens wasn’t too far away from the film plane to focus. This shows how far back the lens extends toward the rear, but I will easily be able to slide the lens board out of the enlarger without having to unscrew the lens. The 150 mm lens is the heaviest of my lenses, but will be held securely enough to keep it from moving when I change aperture settings. 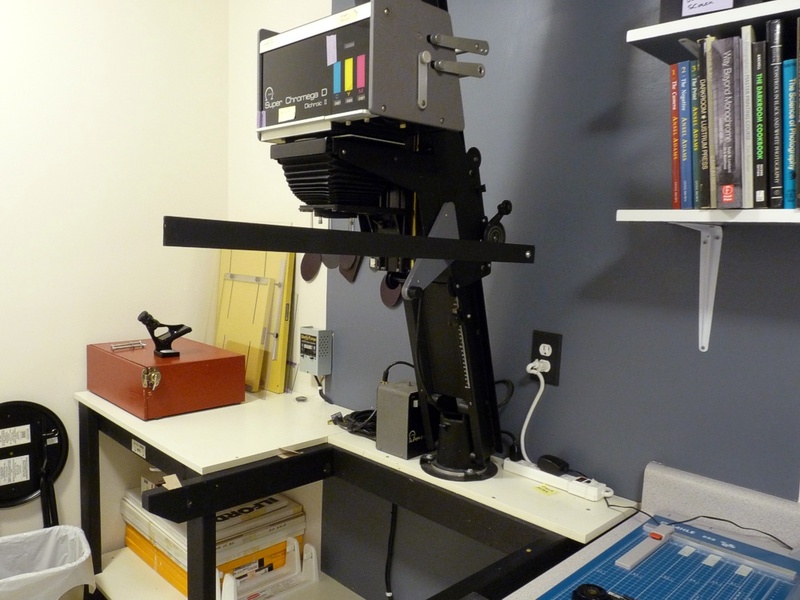 The final product installed on the enlarger with my under-lens filter holder positioned under it. 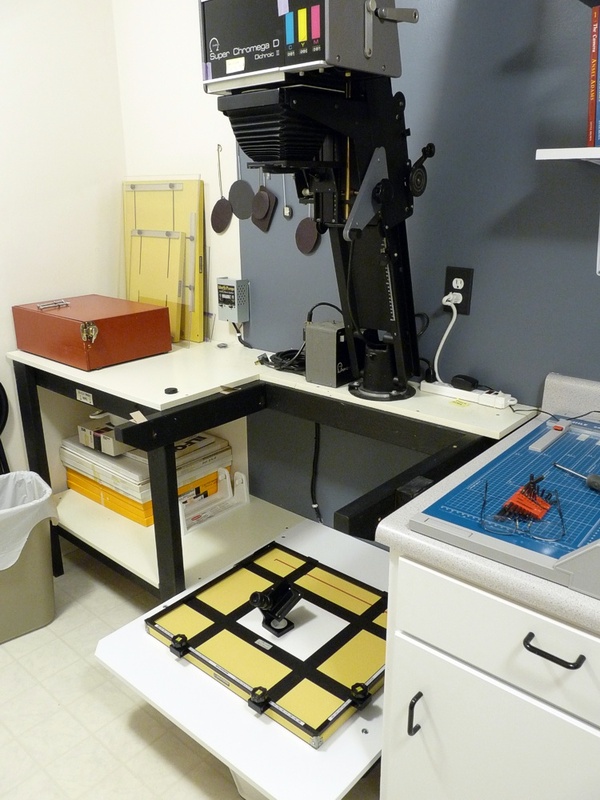 Have you ever made a big enlargement where the enlarger head was so far above the base board it was impossible or too awkward to reach the enlarger focusing knob while looking through the grain focuser? I have and decided to find a way to make it easier. There are a few solutions to this problem. Omega made a flexible focusing shaft (P/N 464-055) which can still be found on line. Saunders/LPL made a generic flexible focus extension that is apparently no longer available. KHB Photografix sells a version deigned for use with the Omega Micromega Fine Focus Control and another version that works with the main focus control. Being a penny pincher, I wondered if there might be a cheaper way that didn’t challenge my lazy lifestyle too much. 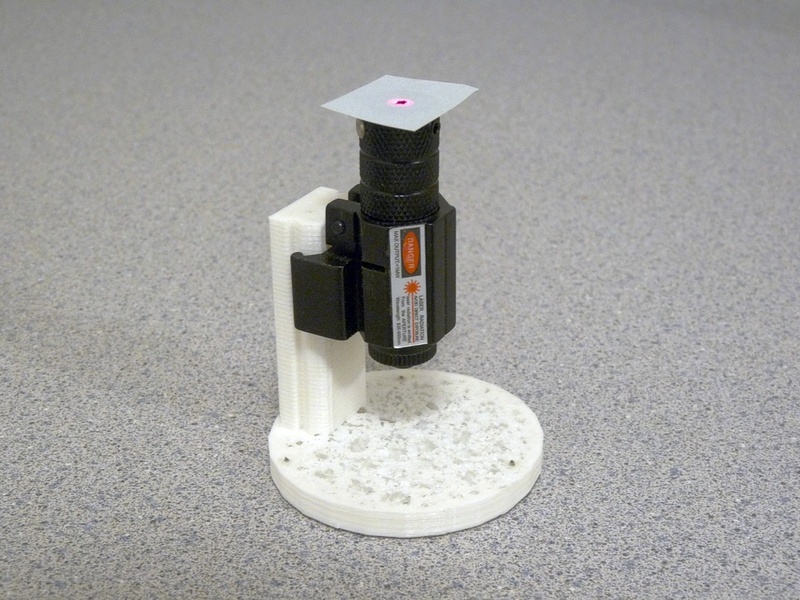 What I came up with was a simple lever that extends down from the focusing shaft. 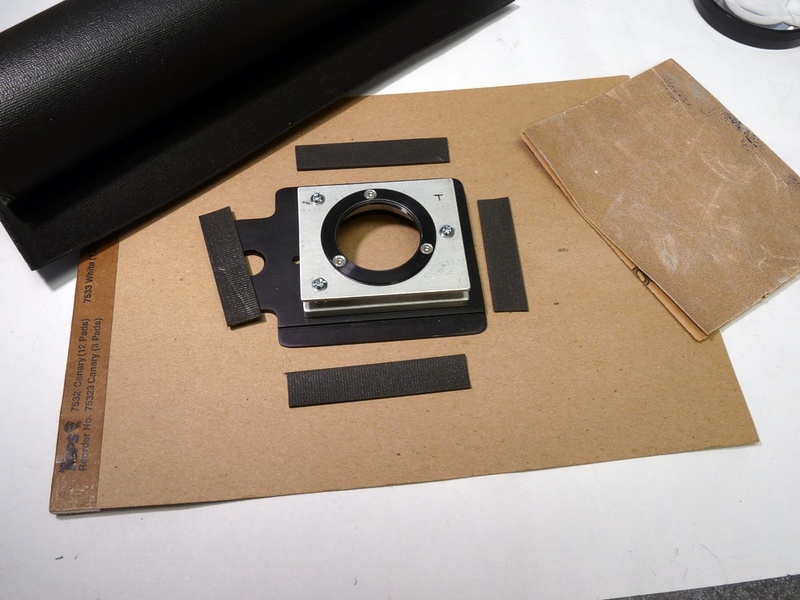 The procedure is to set up the enlarger as I normally would to make a large (or heavily cropped) print, focus as I normally do, but then simply replace the focusing knob for the long lever to do the critical focusing with the grain focuser. The materials to build the lever are below. 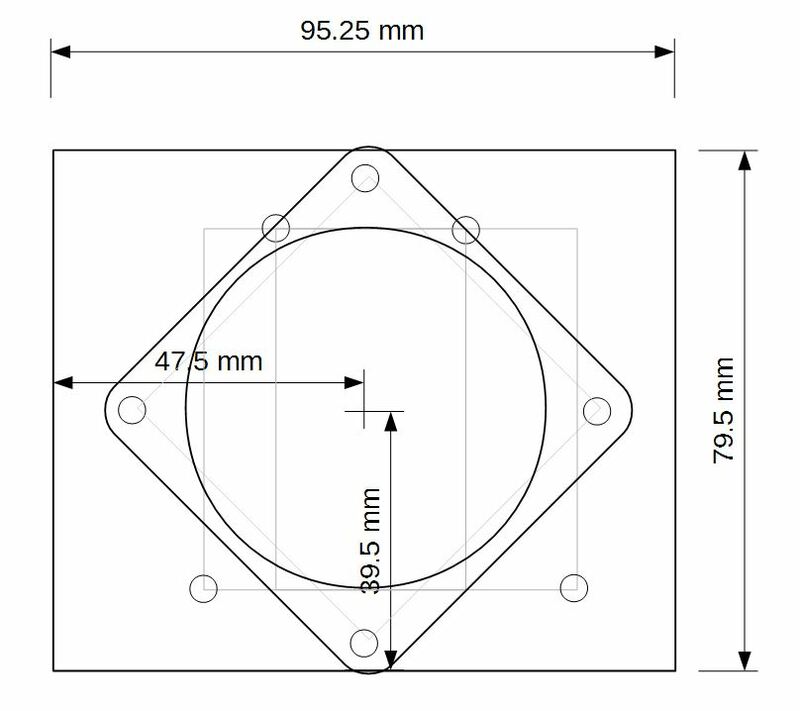 Dimensions should be adjusted to meet your own requirements. Pine wood strip 3/16″ thick x 1-1/4″ wide x 27″ long. Aluminum rod 3/8″ in diameter x 7″ long. #10-24 machine screw and washer. The wood strip needs to be light, but rigid. 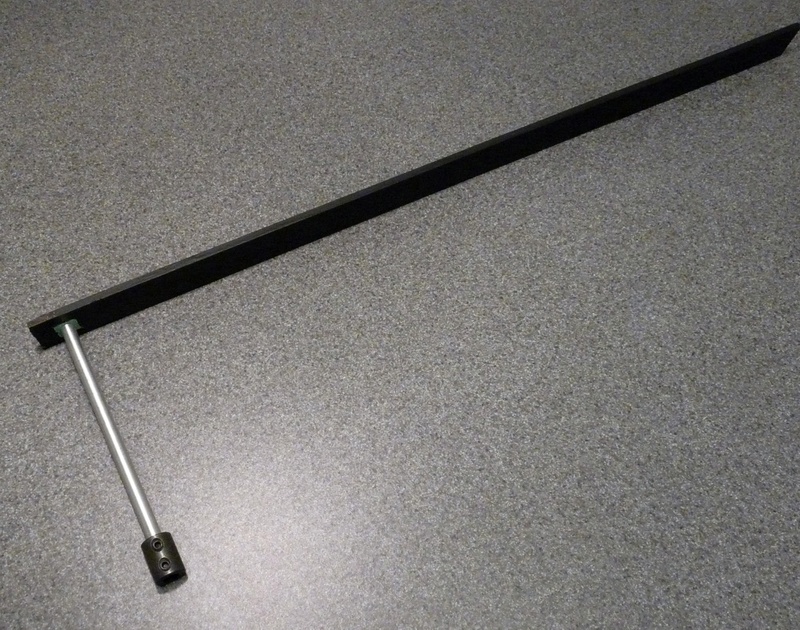 The length of the aluminum rod should be long enough to keep the lever out of the image area. 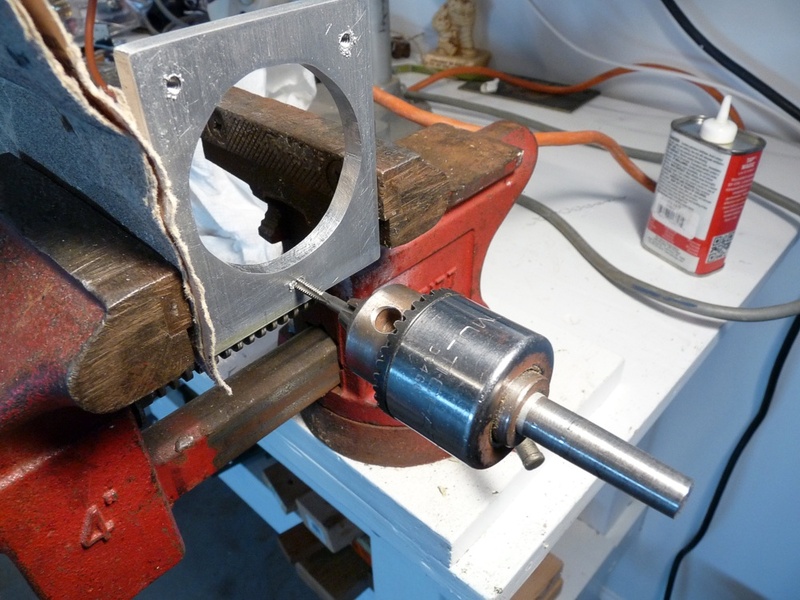 The shaft is attached to the end of the wood by drilling the appropriate hole in the end of the shaft and tapping the hole to accommodate the machine screw. 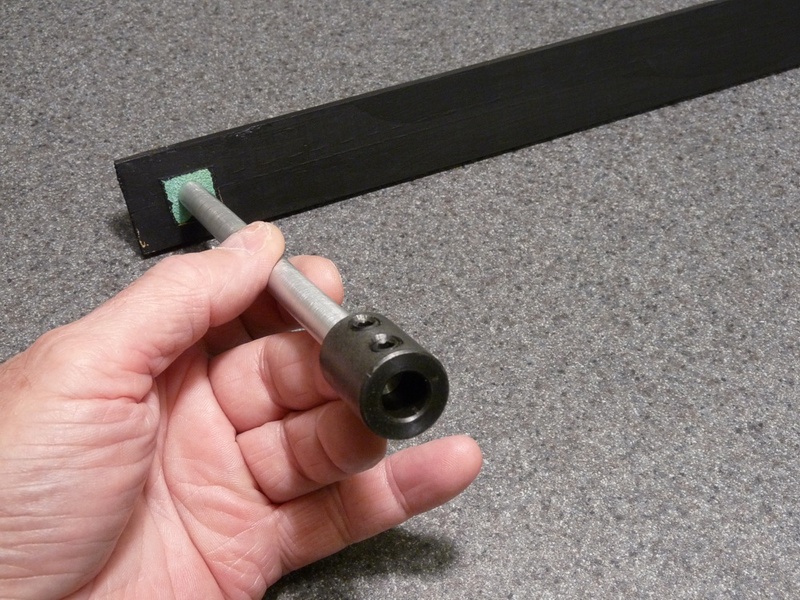 I had a #10-24 tap handy, so I drilled a 5/32″ hole and threaded the hole to accommodate the length of the screw. The ruler is just for scale. Note the small piece of sandpaper at the hole on the left end of the wood. Small piece of sandpaper glued to wood ensures the rod won’t rotate. 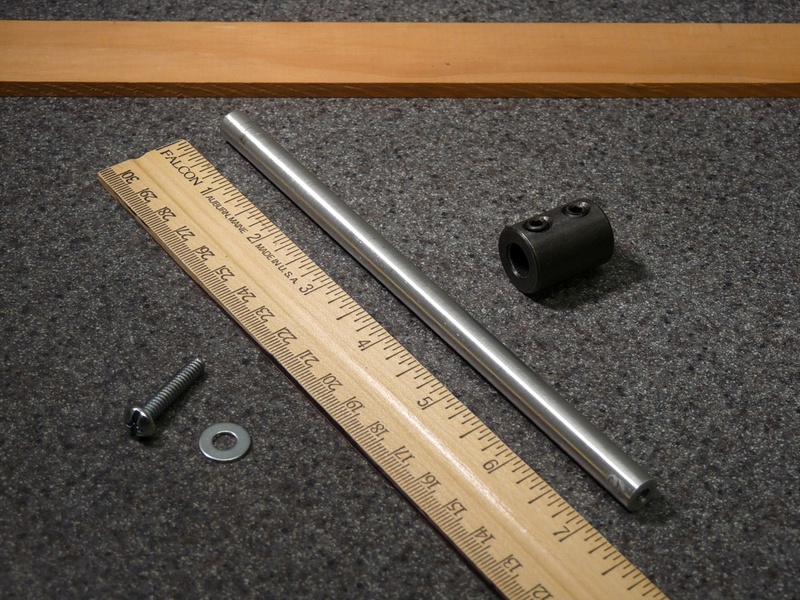 Allen wrench sizes are 5/64″ for the knob and 3/32″ for the coupling. I couldn’t reach the focusing knob, but can easily reach the lever for critical focus. The lever extends down where I can easily reach it. “Easily” is a relative term. Since I will be on my knees to look through the grain focuser, it is not as comfortable as when I’m standing up. 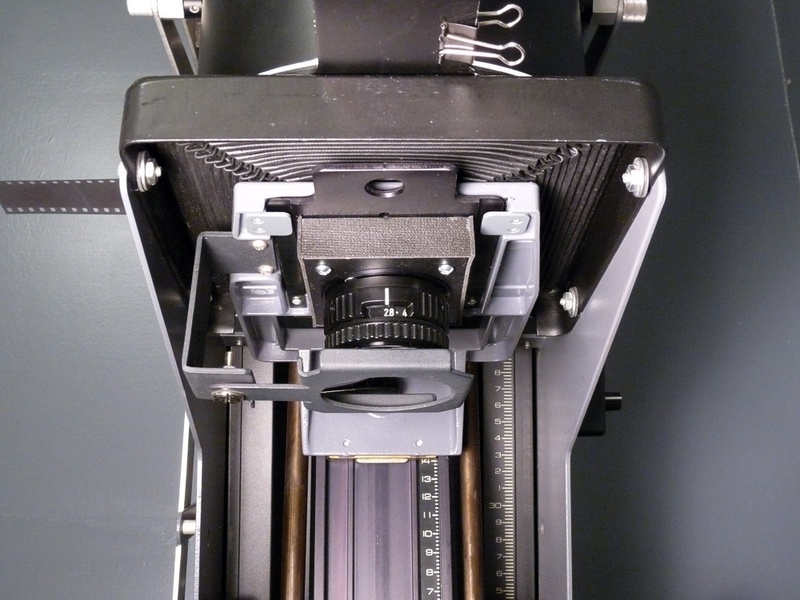 I don’t think the flexible shaft focuser would be much better. 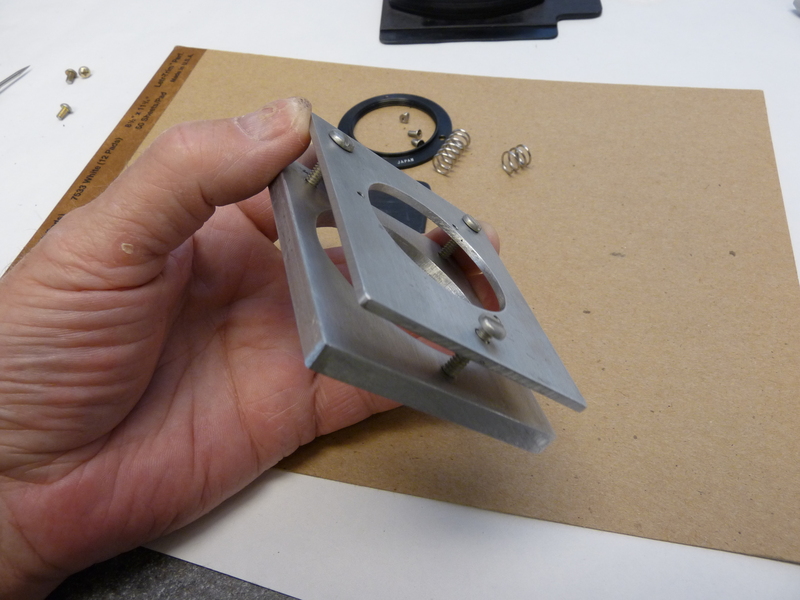 The secret is to hang the lever on the focusing shaft so it is vertical before tightening the set screw. 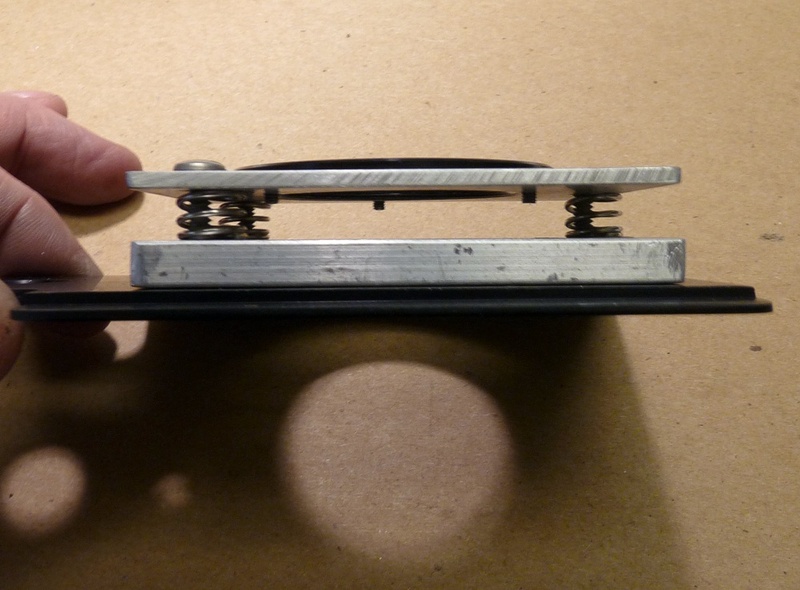 The lever is then moved to effect a small rotation of the focusing knob, making it easy to fine tune the focusing. If you did a reasonable job eye-balling the focus during setup, the fine adjustment is very small.The light weight of the lever is not enough to turn the focusing knob by its own weight, so once you adjust it, it stays put. I also found it to be a simple matter to remove the coupling from the shaft without corrupting the focus. The lever is light, so it will not rotate the focusing shift by its own weight. I did not tighten the friction tension on the focusing shaft for this project, nor do I consider the focus particularly stiff on my two D5s, but even if you have your focus set to be more loose, the lever will likely never be at much of an angle from its initial vertical position, so the torque will be very tiny. 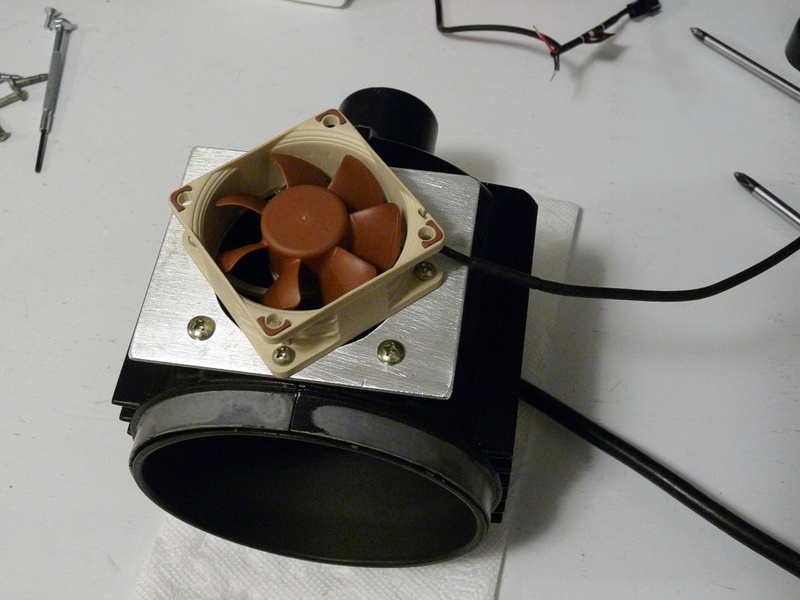 In my last article, I conducted some temperature tests using the 250W PH213 lamp in the Omega DV Condenser lamphouse. 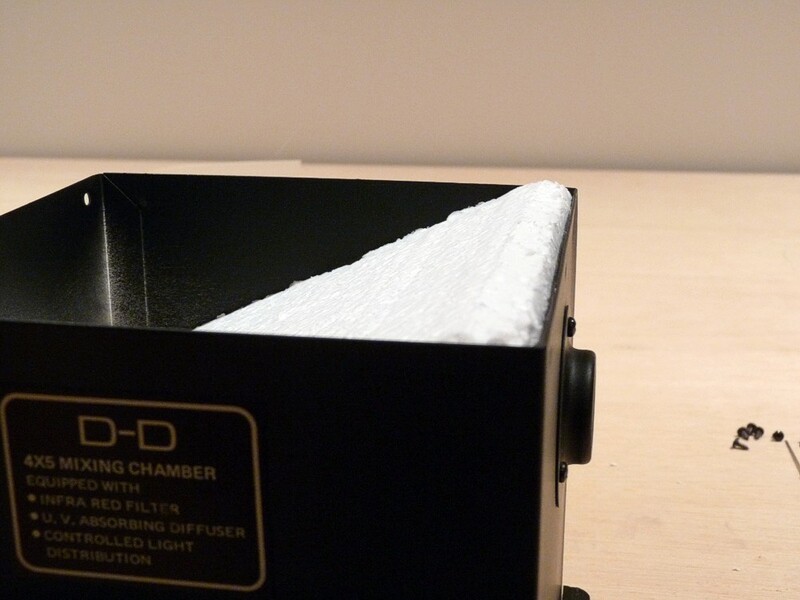 Omega offered a blower for the DV lamphouse that permitted use of 250W bulb. The Omega part number is 412-020. I’ve never seen one, but it is listed on the KBH Photografix website. 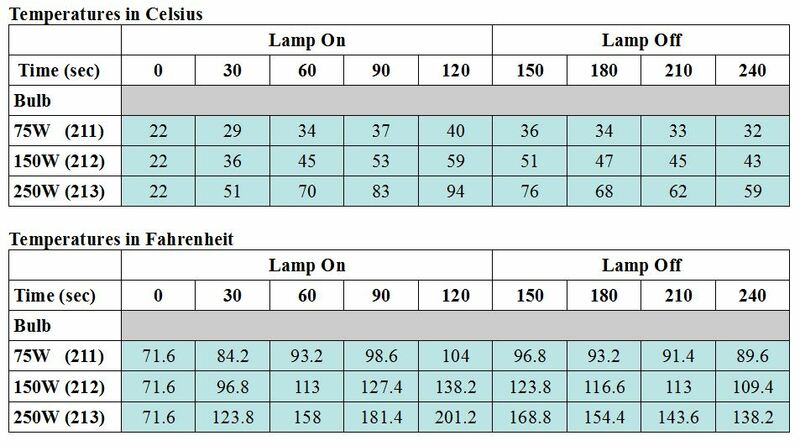 As expected, with no blower, the 250W bulb generated considerably more heat than the 150W bulb, exceeding 200 F between the bulb and heat absorbing glass. This article describes my adventures in adding a pair of small fans to the lamphouse to try and reduce the heat buildup from the higher wattage bulb. The first step was to remove the plastic covers on each side of the lamphouse. These covers permit air to flow into the sides of the lamphouse and exit through an opening in the top, cooling by convection. The bulb is completely enclosed within an inner chamber preventing any light leakage through these ventilation openings. 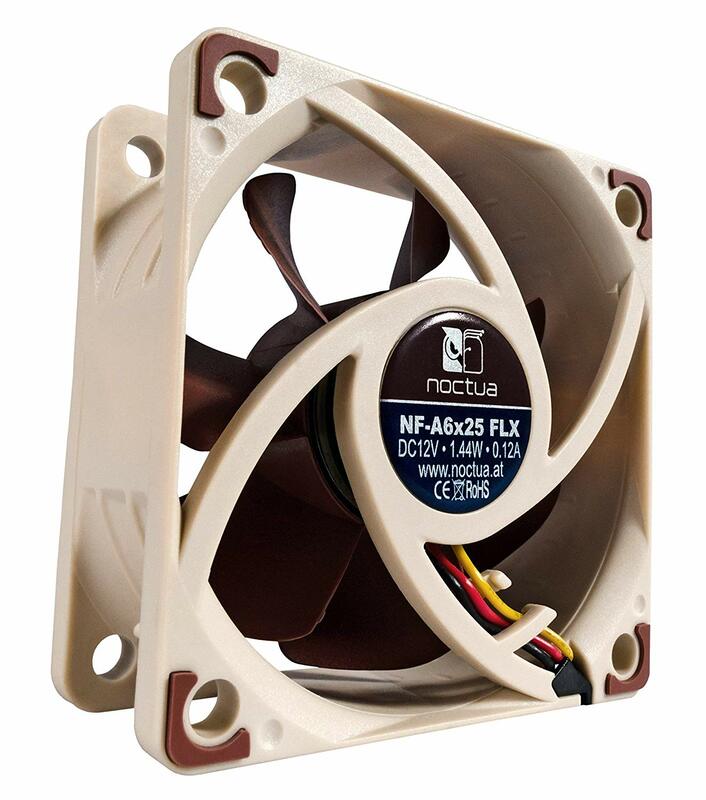 For this project I decided to attach a 12 VDC 60mm low speed computer fan (Noctua NF-A6x25 FLX) available from Amazon to each side of the lamphouse, both blowing air inwards. The low speed will minimize noise and vibration and the speed can be controlled by simply reducing supply voltage (or adding resistance in series with the power). The down side is that a small fan running at low speed doesn’t move a lot of air. 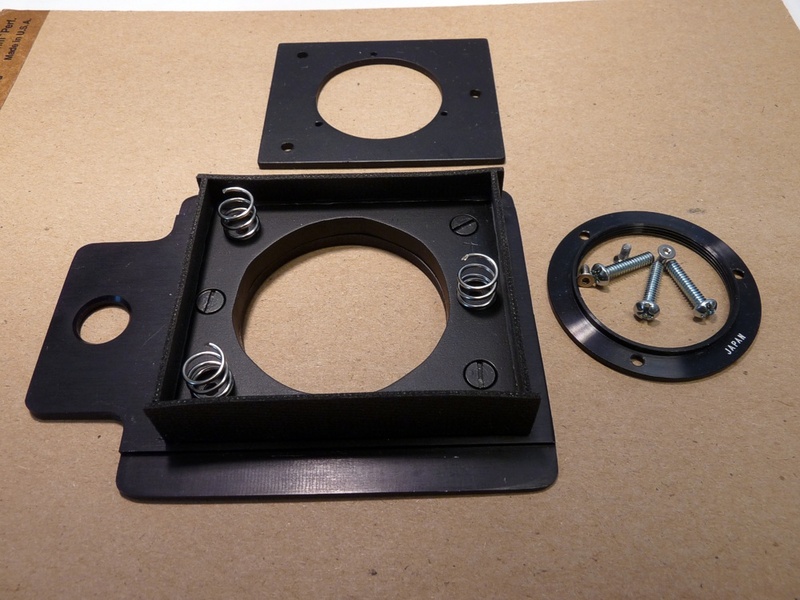 To attach the fans, I designed a mounting plate that can be attached to the lamphouse using the existing threaded holes previously used to attach the plastic covers. Since the #6-32 threading in those holes does not extend very deep into the holes, I used the original self-threading screws to deepen the threads. I simply worked the screws in and out, each time going slightly deeper. My #6-32 tap has a pretty long taper and I was afraid it would bottom out sooner than the screws. 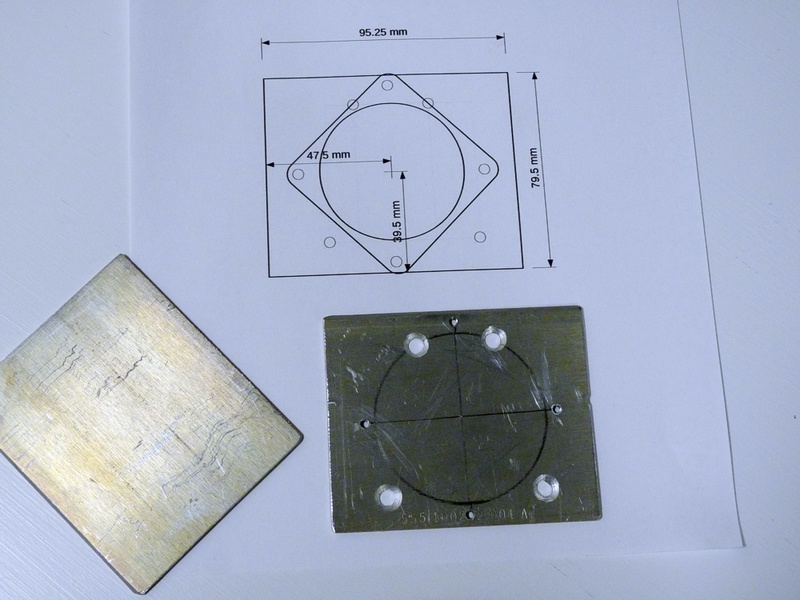 I cut the plates out of some 0.092″ thick scrap aluminum I had lying around and started marking and drilling. As you can tell, I am much more inclined toward functionality than prettiness. Also, I’m kind of lazy and have a short attention span, so I needed to keep the project within the limited range of my mechanical skills. Cut scrap aluminum to size and started drilling. To cut the fan hole, I screwed the plate to a piece of wood so I could rotate it around as I cut it with my jig saw (aka sabre saw). 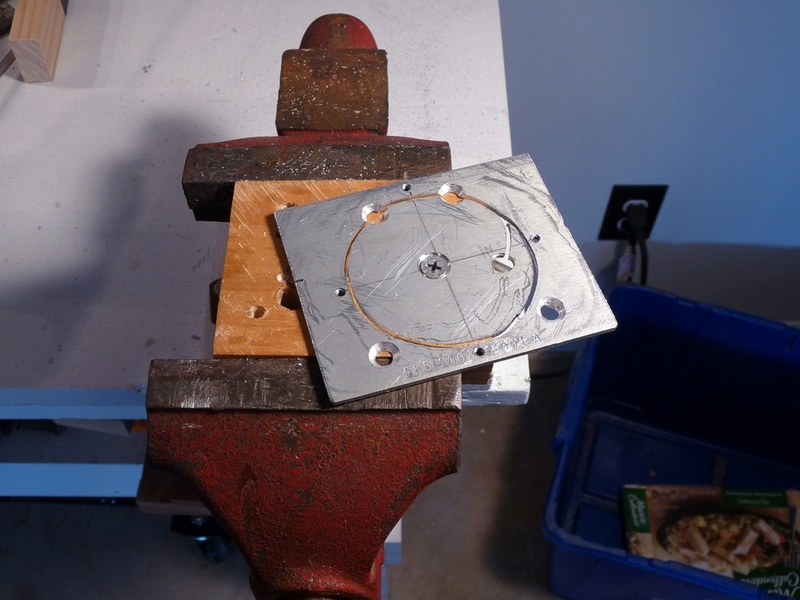 Jig to cut the main hole in the plate. 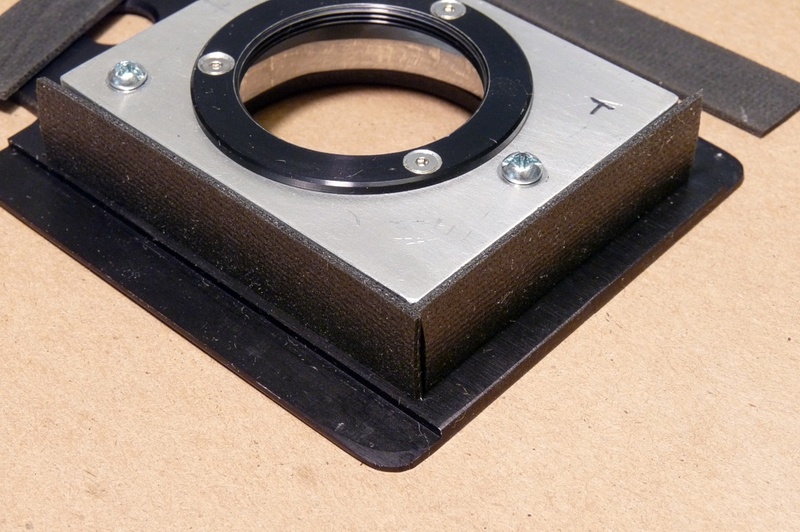 (the 2 holes at the bottom do not need to be countersunk). As you can see, the hole placement does not lend itself to easy assembly. I wanted to mount the fan to the plate and then mount the plate to the lamphouse. Unfortunately, two of the screws that mount the plate to the lamphouse are under the fan. The problem solved itself, however, because the upper two screw holes were bisected by the fan cutout. I installed those two screws into the lamphouse and simply slid the fan plate (with the fan installed) down under them. Then I simply installed the two lower screws. Note that I countersunk all four holes, but the countersinking is only needed for the top two screws which are trapped under the fan. 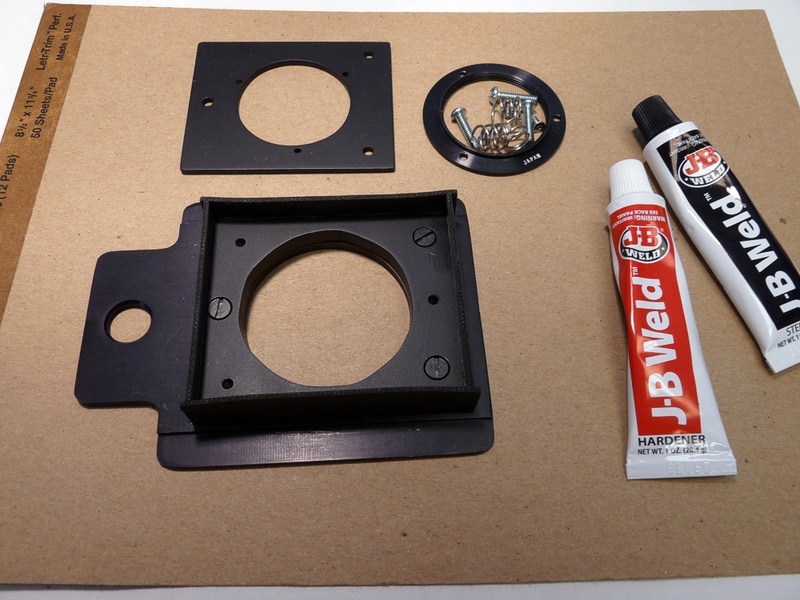 Hook the plate under the upper two screws (already installed) and then install the lower two. 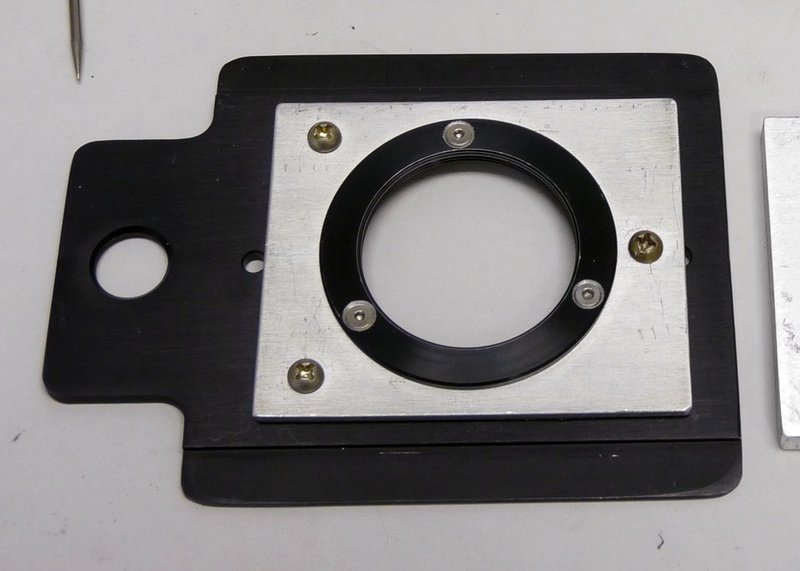 Fan plate with fan attached (this is actually the second fan plate). I got a variable 3- 12 VDC fan power supply from Amazon to power the fans, but left the task of dressing up the wires until after doing the testing. Ultimately, the fans were wired together and the wire routed along side the main lamphouse power cord so as to be out of the way. Test setup. Thermocouple placement was identical before and after fans. 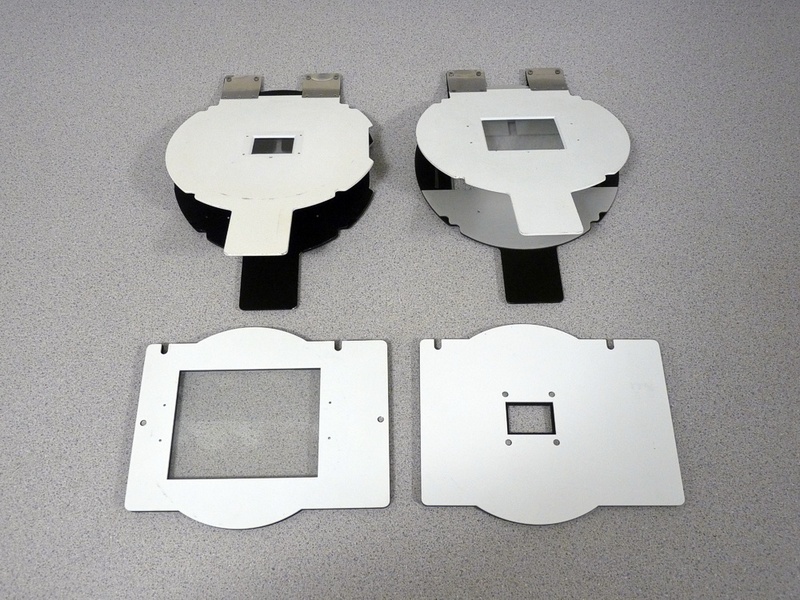 The “Before Fan tests” were conducted with the original plastic covers still in place before work started on the fans. The thermocouple was then left undisturbed as I added the fans so as to ensure no other variables were introduced in the test results. I have heat absorbing glass installed in the top slot of the variable condenser housing. The thermocouple was centered in the middle of the heat glass and suspended 0.500″ above the surface and 0.700″ below the bulb. I measured this before the fans were added and after the fans were added to make sure nothing changed. Experiments are worthless if the conditions of the test are inadvertently altered during the test. The variable speed controller was set to maximum output (12 VDC) for all of the tests with the fans. The results are tabulated below. The results with no fans are the same measurement collected for my previous article. I started each test with the temperature stabilized at room temperature. I had the lamp turned on for 120 seconds and then turned off for 120 seconds. Temperature readings were made at 30 second intervals on the ramp up and on the cool down. 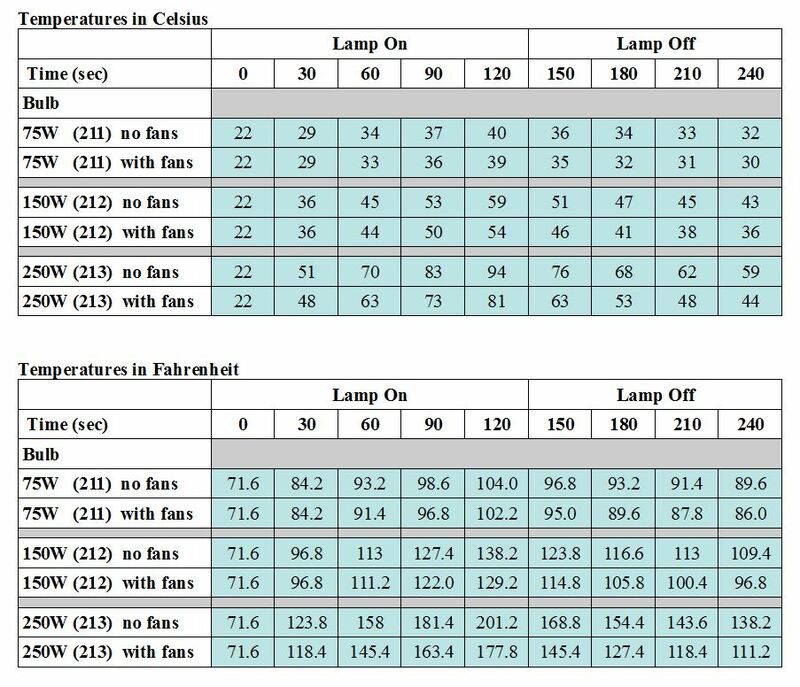 Temperature comparison with fans and without fans. While the fans certainly do reduce the temperatures, I was hoping for better than this. My goal was to keep the temperature range for the fan cooled 250W bulb more in line with the temperatures generated by the convection cooled 150W bulb. That was overly optimistic given the fact that the airflow never actually touches the bulb which is enclosed in its own chamber. On the bright side, the cool down time is definitely accelerated by the fans. After the 250W lamp has been off for the 2 minute cool-down, the temperature (111.2 F) is very close to that of the 150W bulb with no fans (109.4 F). For those who are wondering, I did run one test to see if the cooling performance was different if one fan was flipped to blow out instead of inwards. The performance was measurably worse, so I reverted to having both fans blowing inwards. I measured the acoustic noise of the modified condenser lamphouse against the noise generated by the fan in my Chromega with the noise meter 10″ in front of the respective enlarger heads. As you have probably guessed, the reason for the noise test is to get an idea of whether the fans could induce vibration that diminishes print sharpness. The heads on these enlargers are massive compared to the mass of the spinning fan blades, so the risk is presumably quite small. For the hell of it, I listened to each of them using a stethoscope and the Chromega was noticeably louder. Measuring the temperature at the negative plane with the 250W bulb and starting at 23 C (73.4 F) ambient, I got a thermocouple reading of 27 C (80.6 F) after the lamp had been on for 120 seconds. With the 150W bulb, the reading was 25 C (77 F) after 120 seconds. While not hot enough to damage the negative, this may be enough to cause the negative to “pop” out of focus. This is of little concern to me since I use glass carriers. I use heat absorbing glass (Omega p/n 473-103) in my condenser enlarger and I don’t have any test results without having the glass installed in the uppermost shelf in the variable condenser housing. Since I never use a 135 mm lens, I never have to install the movable condenser lens in that slot. 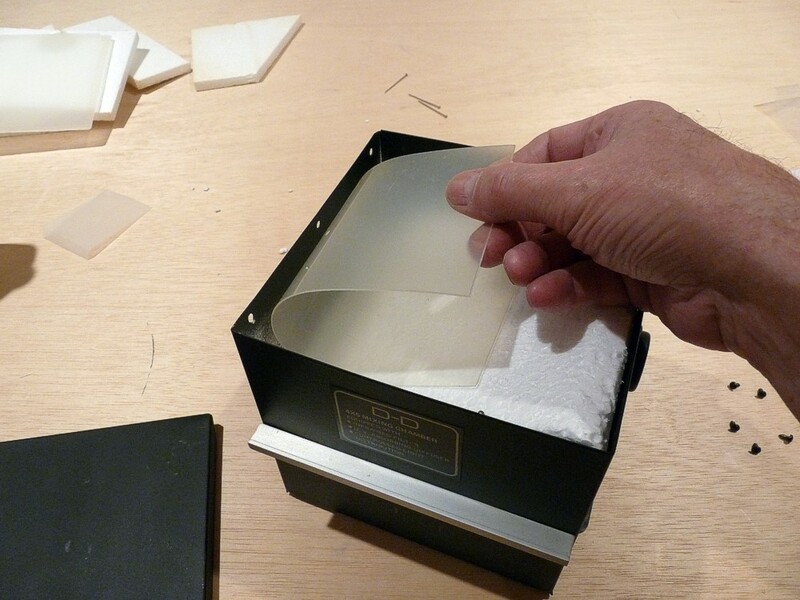 For 4x5s, I use 150 mm which eliminates the movable lens completely. Finally, and this applies to this article as well as the previous one, thermocouples do not react instantly to temperature changes and we are dealing with a short time line for these tests, so the actual temperatures are likely to have been somewhat higher than the numbers recorded during these tests. Nonetheless, I think the tests do provide useful information for comparison purposes between the three different wattage bulbs tested. It also satisfied my curiosity about how practical it is to use a 250W bulb in the Omega DV condenser lamphouse. Having now added the fans, I believe I will be quite comfortable using the 250W lamp when necessary for large magnifications or to shorten exposure times for dense negatives. 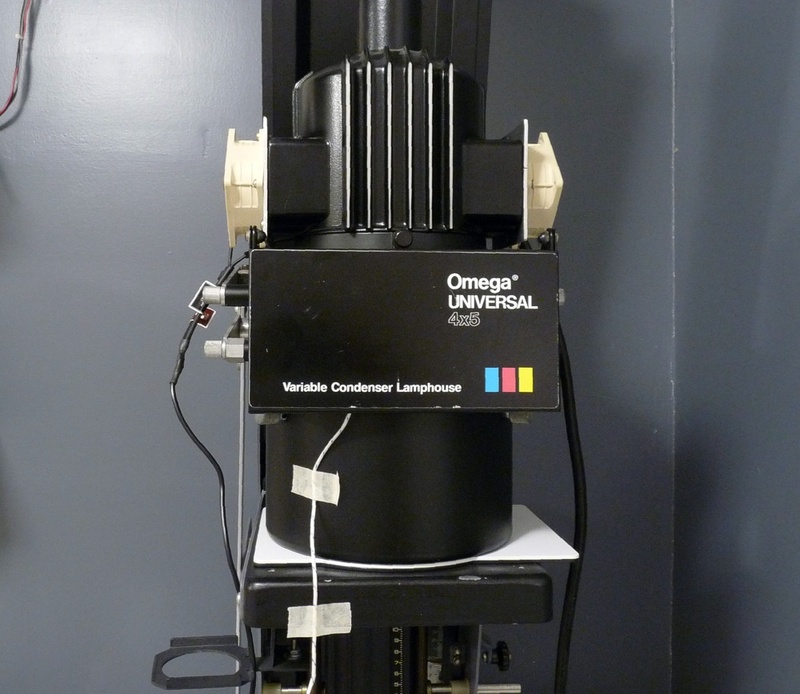 If you have an Omega 4×5 variable condenser enlarger, you probably know it is common to use 75W and 150W bulbs in them. These enlarger bulbs are designated #211 and #212, respectively. Often they are referred to as the PH211 and PH212. You may also know there is a brighter alternative that will physically fit. The #213 is a 250W version of the above and is available online from Freestyle, B&H, and 3rd party sellers on Amazon. I measured the new bulb at about 1.3 stops brighter than my 150W bulb which already has quite a few miles on it. 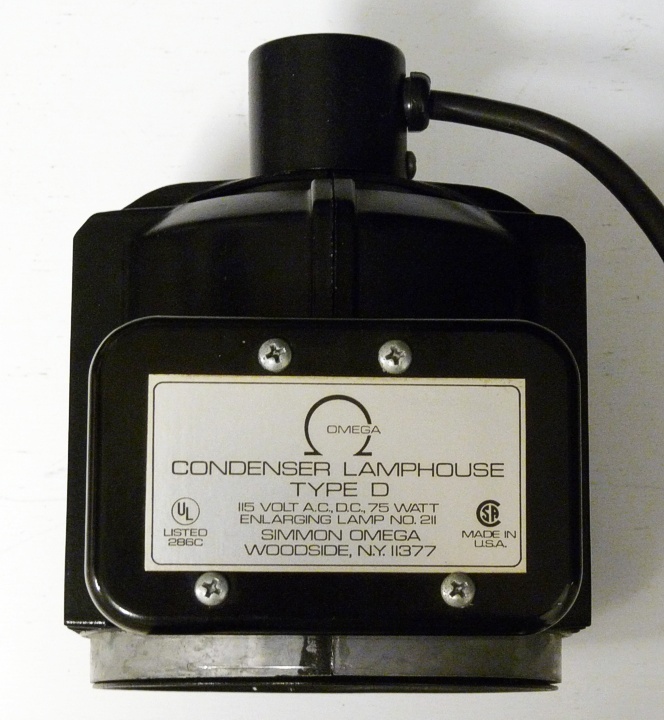 In its stock configuration, the Omega variable condenser lamp house is not rated for the 250W bulb. 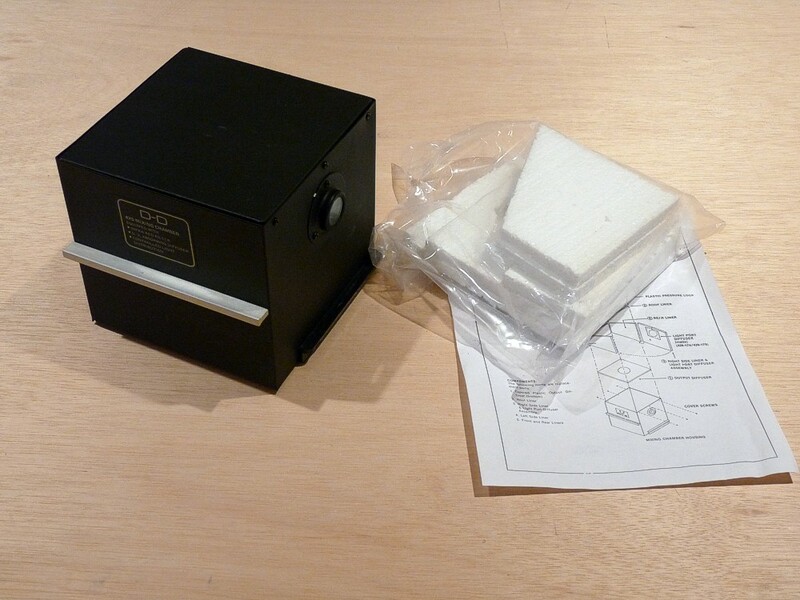 My particular enlarger is rated at 75W and specifies the #211 bulb. 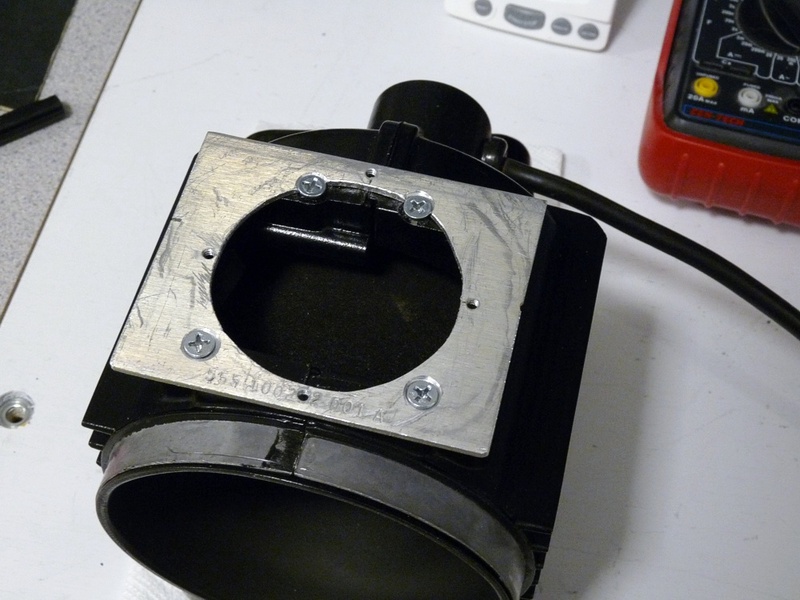 Lamp enclosure for Omega D variable condenser lamphouse. Newer versions of the lamphouse are apparently rated at 150W, although I don’t know of any design differences. 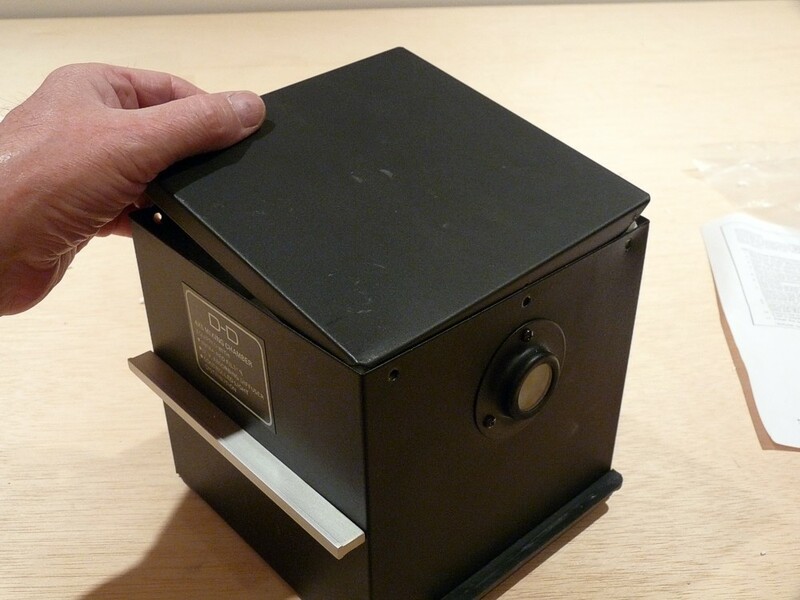 I have been using the 150W bulb in my enlarger for years with no problems. The power cord can certainly handle the load and there are no signs of any heat damage. But, even with the 150W bulb, my condenser enlarger is not as bright as my Chromega with its 250W reflector bulb. This is a problem when I intentionally enlarge big and crop small to accentuate grain. I’m not a fan of long exposure times measured in minutes. Omega made a blower for the condenser lamphouse to specifically allow the use of the 250W bulb. The Omega part number is 412-020. I’ve never seen one, but it is listed on the KBH Photografix website. There have been discussions on web forums on this topic. Some suggest using an LED head to get more brightness. In one discussion on the Large Format Photography forum, the highly regarded Bob Carnie of Toronto, posted that he has been using 250W bulbs in his Omega condenser heads for years with the only downside being a shorter lifespan for the bulb. Anyway, on a recent project, I really wanted to shorten my exposure times, so I ordered one of the 250W #213 bulbs and started experimenting to assess the effects of using such a hot bulb. I decided to test each of the three bulbs, 75W, 150W, and 250W, under identical conditions and collect some temperature data. I do not have an IR temperature gun and I was mainly interested in reading internal temps, so I used the thermocouple that came with my multimeter. I suspect the readings lag actual temps, but it should be sufficient for comparison purposes. I use heat absorbing glass (Omega P/N 473-103) placed installed in the highest slot in my condenser head. I had the variable condenser in the lowest spot (for lenses up to 80mm). I placed the thermocouple 0.425 inches above the heat absorbing glass which positions it about 0.700 inches below the bulb. The temperature readings very greatly if the thermocouple is closer or further away from the bulb even by small amounts, so I repeatedly verified that the thermocouple never moved throughout the testing. I turned on the lamp and measured the temperature every 30 seconds up to 2 minutes and then turned the lamp off and measured the cool down for another 2 minutes. Rather than try to learn how to do a table in WordPress, I just used an image file. The lamp is on for the first 120 seconds and then turned off for the next 120 seconds for a total measurement period of 240 seconds. 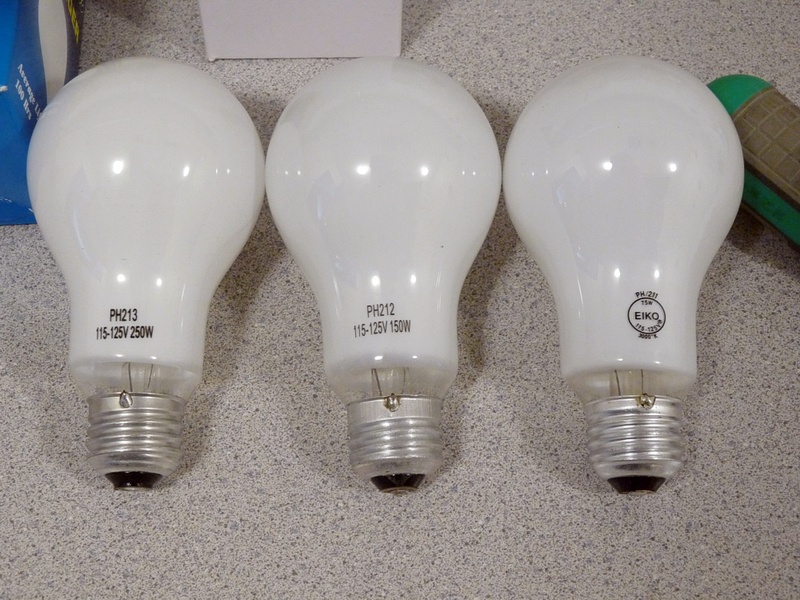 It’s pretty easy to see that the 250W bulb creates a lot more heat stress than the lower wattage bulbs. Temperature build-up really depends on how long your exposures are and how much of the time the lamp is off and cooling down. Cool down is slow, so I allowed a considerable interval between tests. I know from my own past experience that the negative stage stays relatively cool regardless of the bulb wattage because there is so much glass separating the bulb from the negative. But, since I practically never make more than a few exposures from the same negative, the average off time of the enlarger far exceeds the on time. I have decided to remove the plastic covers and add a small cooling fan to each side of the lamphouse. I will have pictures and test results from that project in a future article. I’ve had my Super Chromega D Dichroic II for over twenty years and have never paid much attention to the light mixing chamber that sits above the negative carrier. I don’t print color, so the change in light color from long term yellowing has never caused me much grief. Lately, though, I’ve noticed that I am not getting even light distribution across the entire negative area when I print 35mm and it could be even worse with larger negative sizes. I noticed that the central area of the diffusion screen on the bottom of the mixing chamber has become quite glossy in the center and tests have shown that it reflects the negative. Well, actually, it reflects the white negative carrier which results in a band of brighter light around the outside edges of he 35mm frame. I was able to remedy the problem by covering the diffuser with dull finish diffusion material (like the diffusion material used on studio lights) or by covering the top of the negative carrier with black paper. Nonetheless, the diffuser and lining of the mixing chamber had become yellowed and the shiny spot in the center made me think it needed to be replaced. Luckily, Omega sells a relining kit that can be purchased through B&H for $98.50. I ordered it and it came this week. The mixer is accessible by removing the front door of the Chromega lamp house. 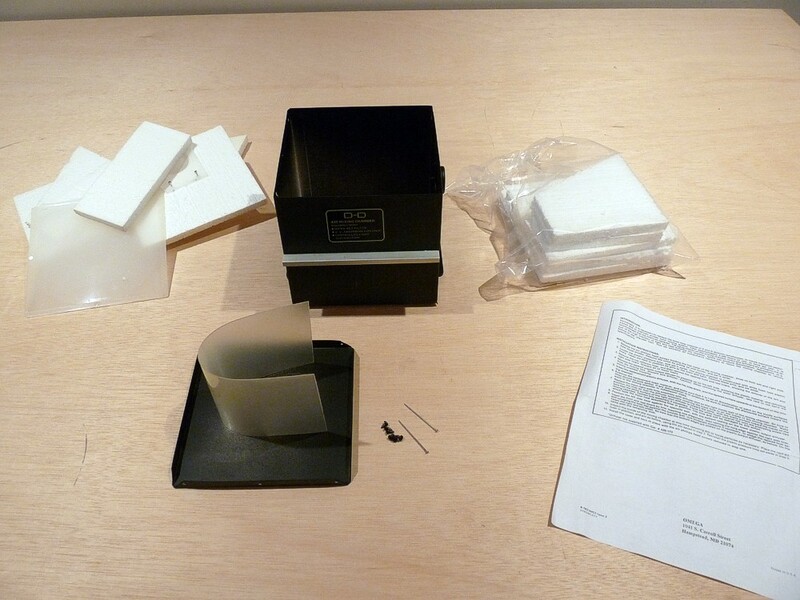 The lining kit includes the foam pieces, diffuser, and instructions. First, remove the six screws that hold the top on. You may need to pry the top off using a small screwdriver at the corner. 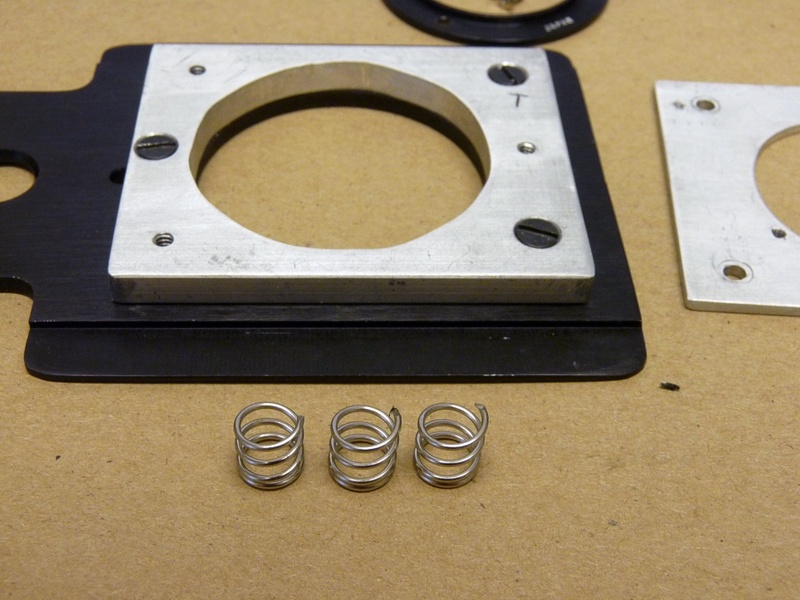 Save the springy plastic “pressure loop”. It will be reused. 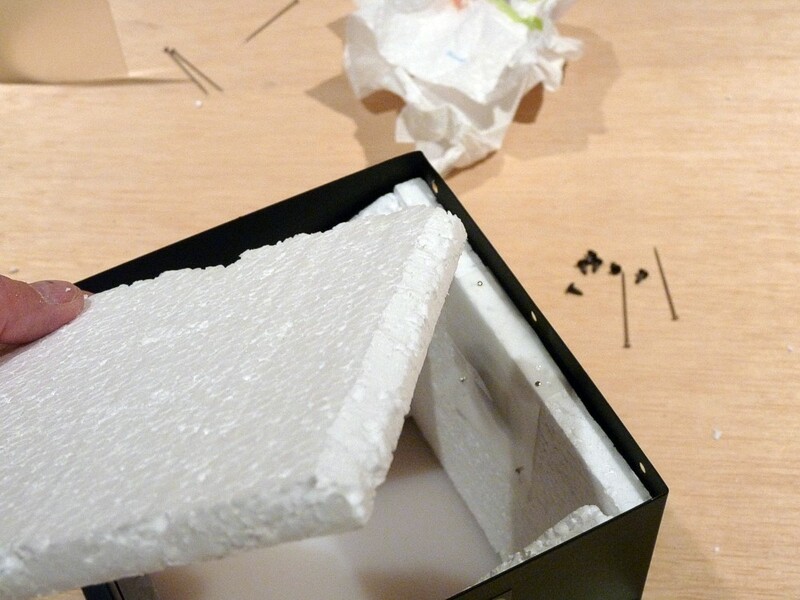 Remove the long pins that hold the top foam piece on. Next remove the tight fitting front and back pieces. 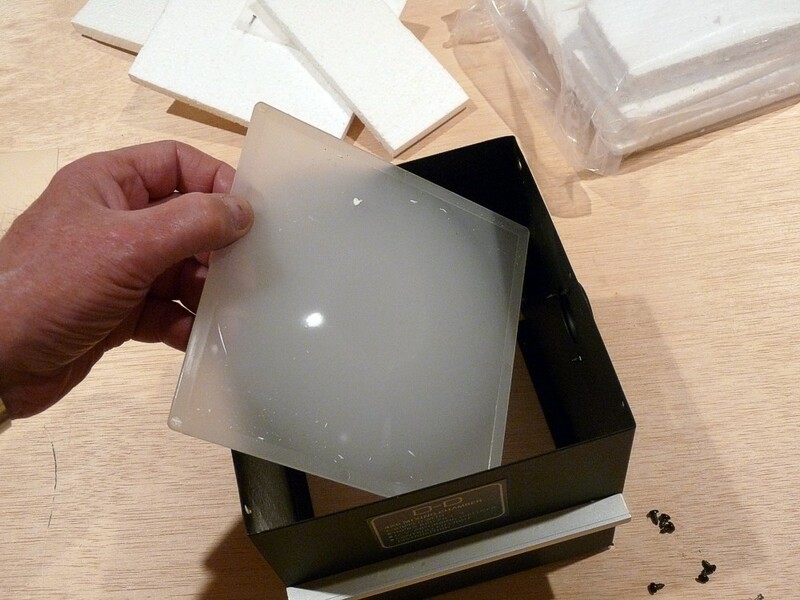 The output diffuser can be removed by pushing up from the bottom. The old liner is on the left and the new kit is on the right. I used a razor blade to bevel the upper edge of the top foam piece. The bevelling of the upper edge eliminates interference with the cover. 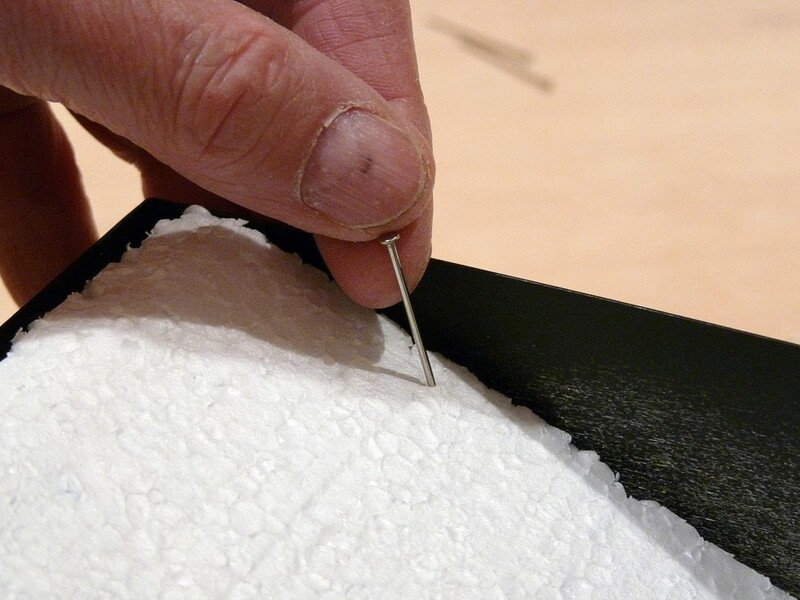 Install the long pins to hold the top foam in place. Finally, install the cover and secure it with the six screws. Be careful not to over tighten the screws. I noticed the new output diffuser has a glossy surface on the bottom and a matt finish on the top, opposite from the old one. This is problematic because the glossy surface reflects the white edges of the negative carrier resulting in uneven lighting of the negative. 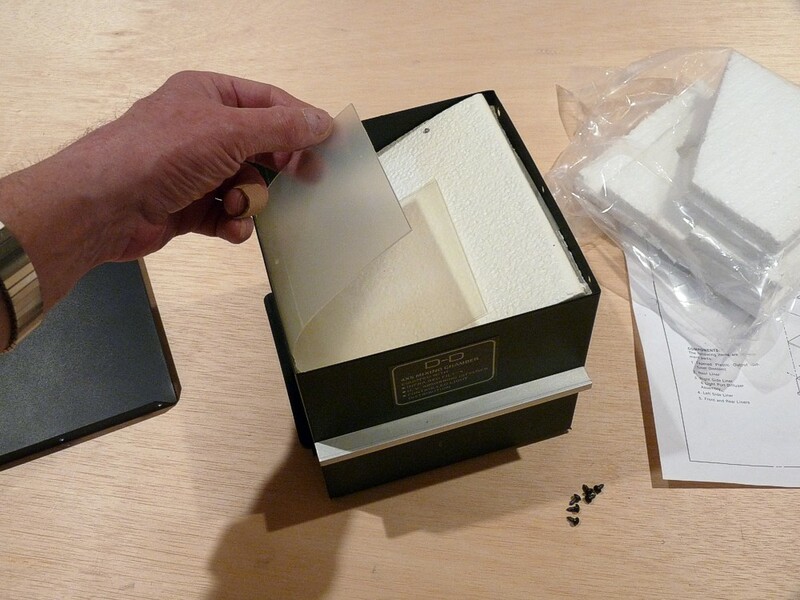 As noted above, the reflection can be eliminated by covering the diffuser with a piece of dull diffusion material or by covering the negative carrier with black paper. I intend to use the latter option, except I will paint the negative carrier black. I sometimes use Ilford Variable Contrast filters under the mixing chamber and, since they are glossy, they would present the same issue as the glossy diffuser. Making the 35mm negative carrier black will reduce the light output, but that suits me fine since I often find myself having to use neutral density filtration to get long enough exposure times with faster papers such as Adorama RC. Unfortunately, I neglected to make a color temp reading of the light output before relining the chamber, but the light looks whiter. I wouldn’t be surprised if my prints showed slightly higher contrast for the same filtration due to the replacement of the old yellowed liner. If you want to test the light distribution of your enlarger, just make a high contrast print (max magenta filtering or a #5 VC filter) without a negative in the carrier. Ideally, the print should be a uniform gray tone from corner to corner. If you see light fall-off toward the corners, you might try using a lens made for a larger format. For example, I get more even light distribution using my Nikkor 80mm lens than I do with my Nikkor 50mm lens. 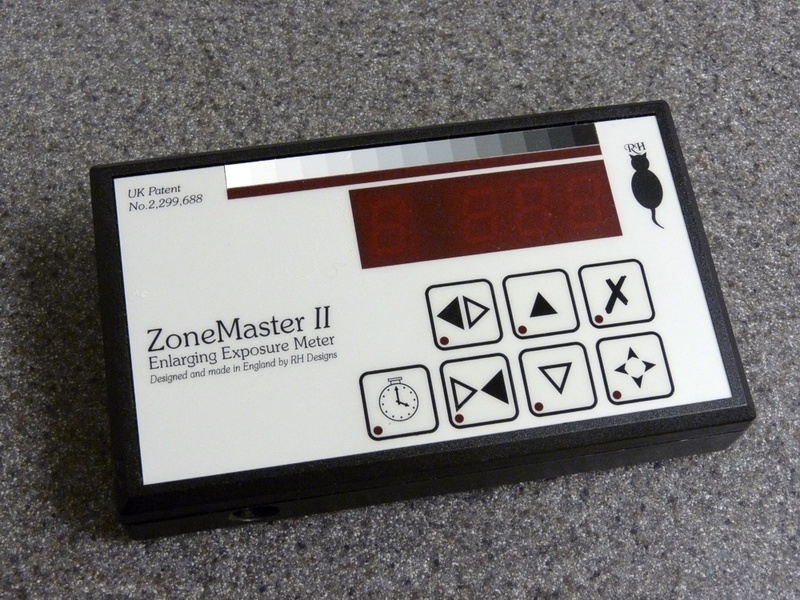 I have had an RH Designs ZoneMaster II enlarging meter for years that I use regularly. A few weeks ago I noticed that one of the buttons had become unreliable. I had to press it hard several times to get it to work. Since I am in the US and RH Designs is in the UK, I decided to try and fix it myself. As it turned out, that was not terribly difficult. I should note that electronics has been both a hobby and career for me, so I am used to working on electronics circuits. 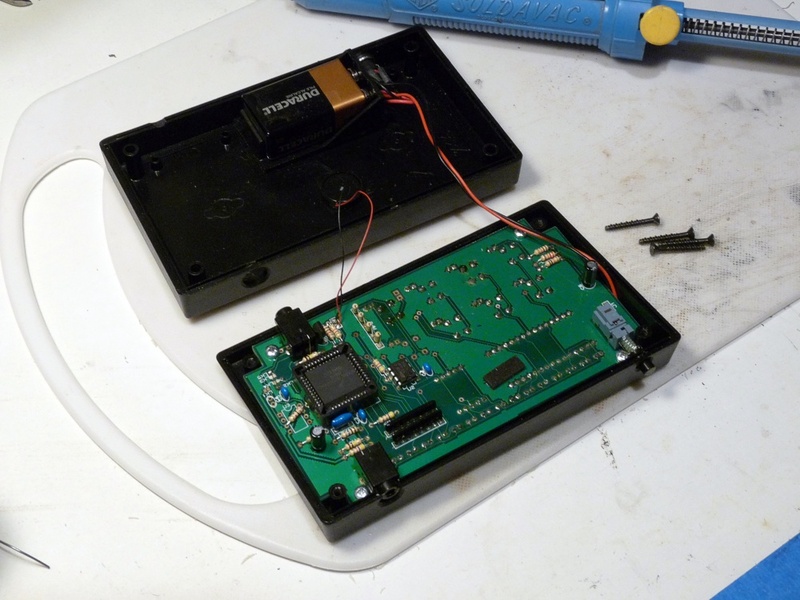 If you are not comfortable doing simple electronics repair work, you might not want to attempt this. If you decide to go for it, you can reduce the risk of damage by using an anti-static wrist strap. I can’t say precisely what button was used in the manufacture of the ZoneMaster II, but ALPS makes a close match. The ALPS part number is SKHHBWA010. I ordered from Mouser at $0.15 each plus a small shipping fee. To see an accurate picture of the switch you may have to click on the data sheet rather than relying on the representative illustration shown on the website. 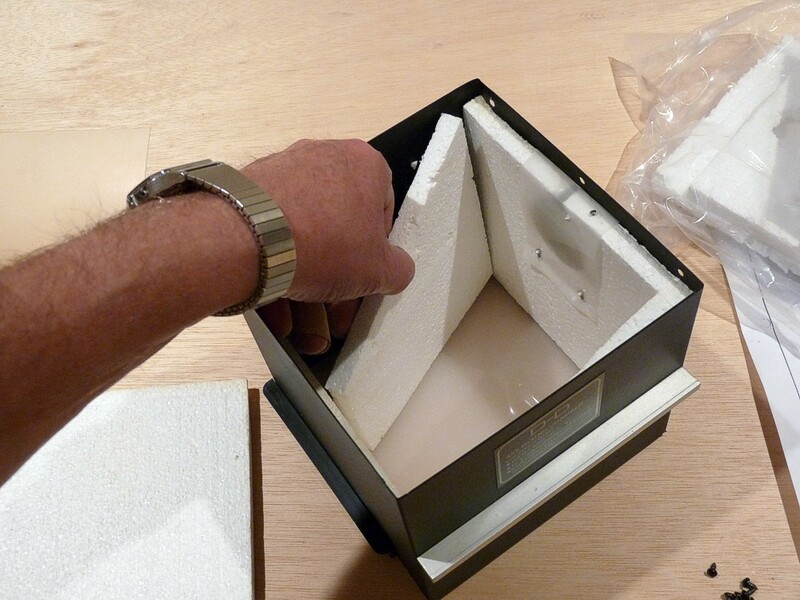 The ZoneMaster can be disassembled by removing the four black Phillips head screws on the bottom and carefully separating the top and bottom of the clam shell box.. I recommend checking to make sure the power switch is turned off and then removing the battery. The circuit board is held in place by three short Phillips Head screws, one in each corner. Be careful not to accidentally damage the push-button power switch. Jewelers screwdrivers come in handy at this point. 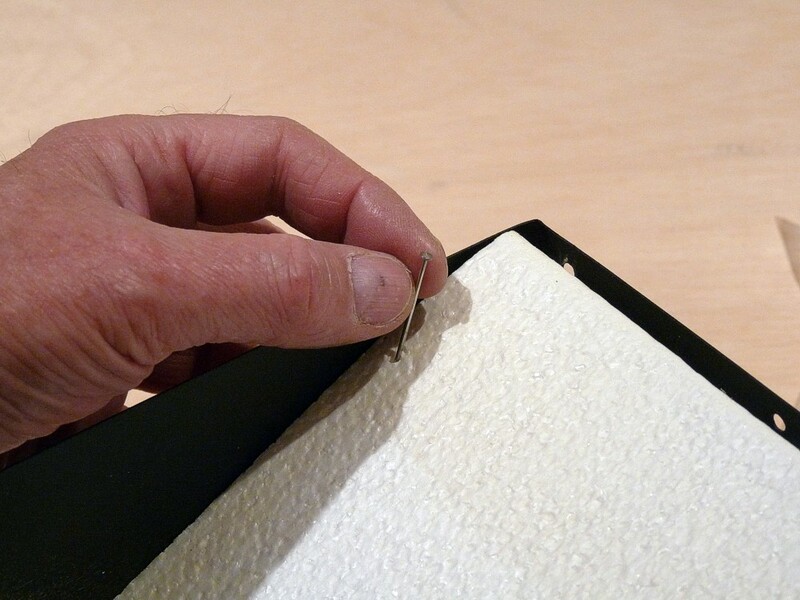 Carefully work the circuit board out of the plastic box and turn it over to see the buttons. To remove the buttons you will need a small soldering iron (25-50W or so) and either a “solder sucker” or some solder wick. 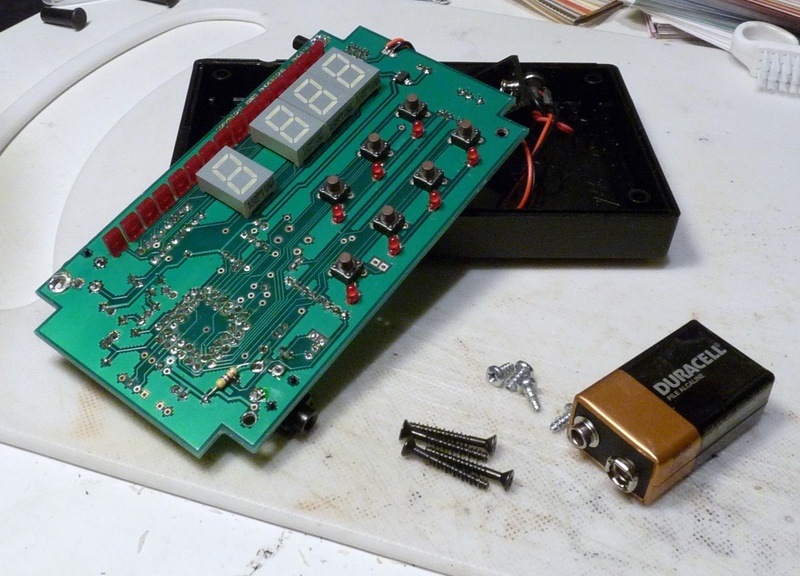 Flip the circuit board back over and desolder the faulty button. The molten solder can be sucked off with the solder sucker or soaked up with the solder wick. Being too rough or using too much heat for too long can damage the fragile copper traces on the printed circuit. After removing the solder, use small needle nose pliers or tweezers to work the pins loose so the button can be removed. 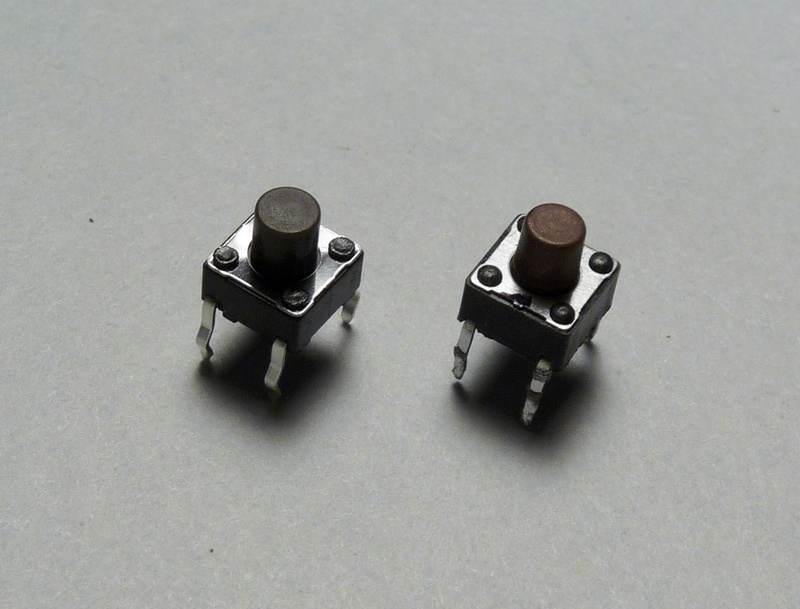 The new button is a match for the old faulty one and seems to require very similar operating force. The “click” sound made by the new button is a little different, although certainly not enough to matter to me. 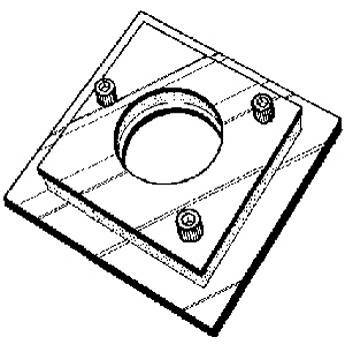 The hole pattern for the switch is rectangular, so it can be installed in two ways. Since the pins are symmetrical, it doesn’t matter which way you install it. 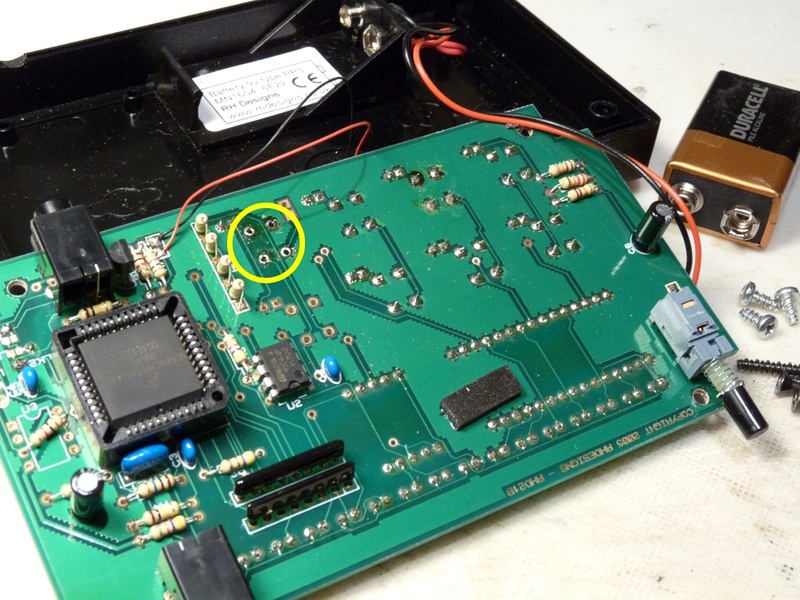 Be sure to press it all the way into the holes on the circuit board and solder all four pins. Reassembly is the reverse of disassembly. 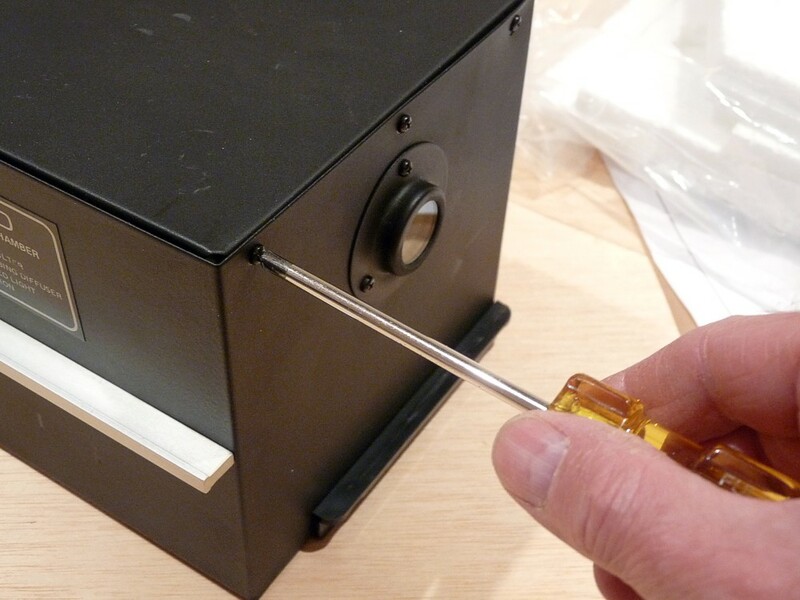 Be careful not to strip out the holes in the plastic box when reinstalling the screws and remember to reinstall the battery before buttoning everything up. It might not be a bad time to replace the battery while you have everything apart. If everything went well, you didn’t ruin your very expensive enlarging meter.